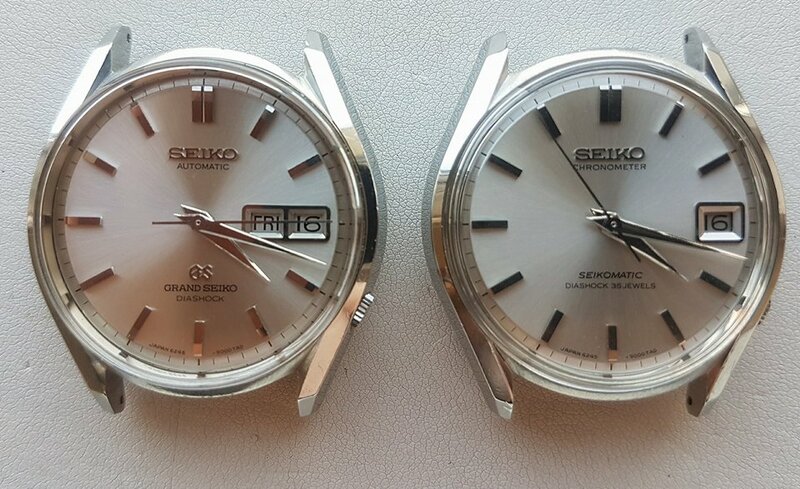 Grand Seiko and Credor, the two faces of the same coin. 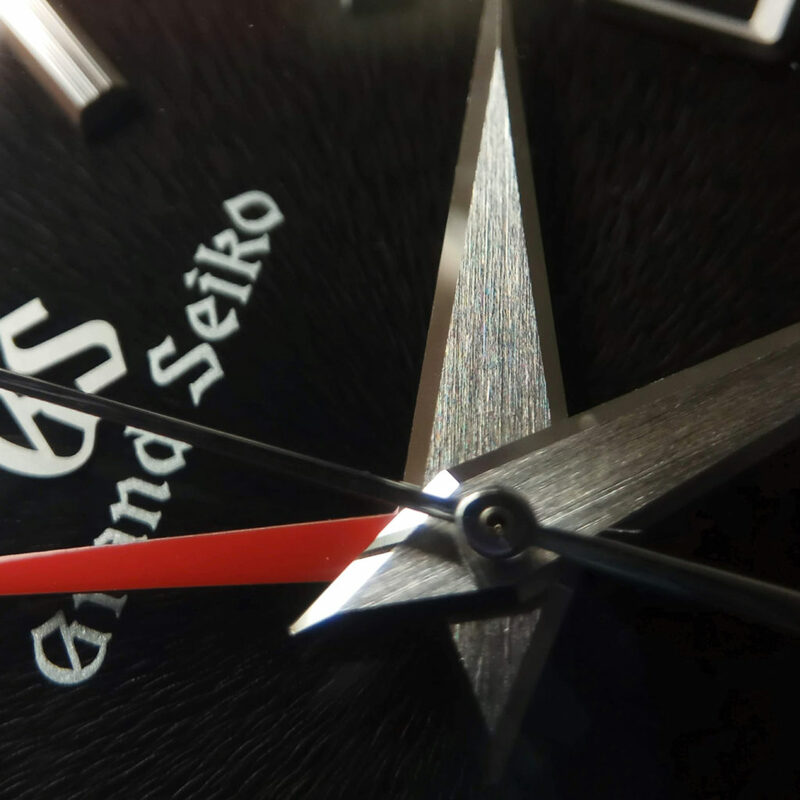 An in-depth review of Seiko's top brands' core values, philosophies and history. 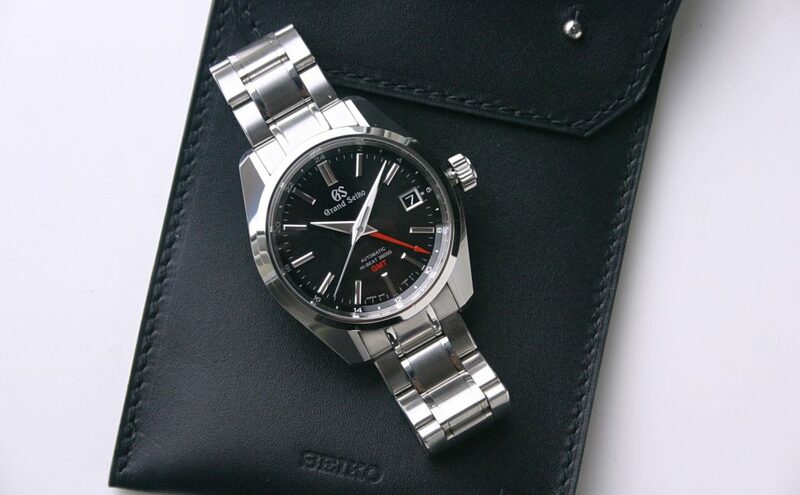 Grand Seiko and Credor are two of the high-end brands of Seiko. Even though Grand Seiko and Credor are becoming more well known and popular, their respective missions and philosophies often remain obscured. 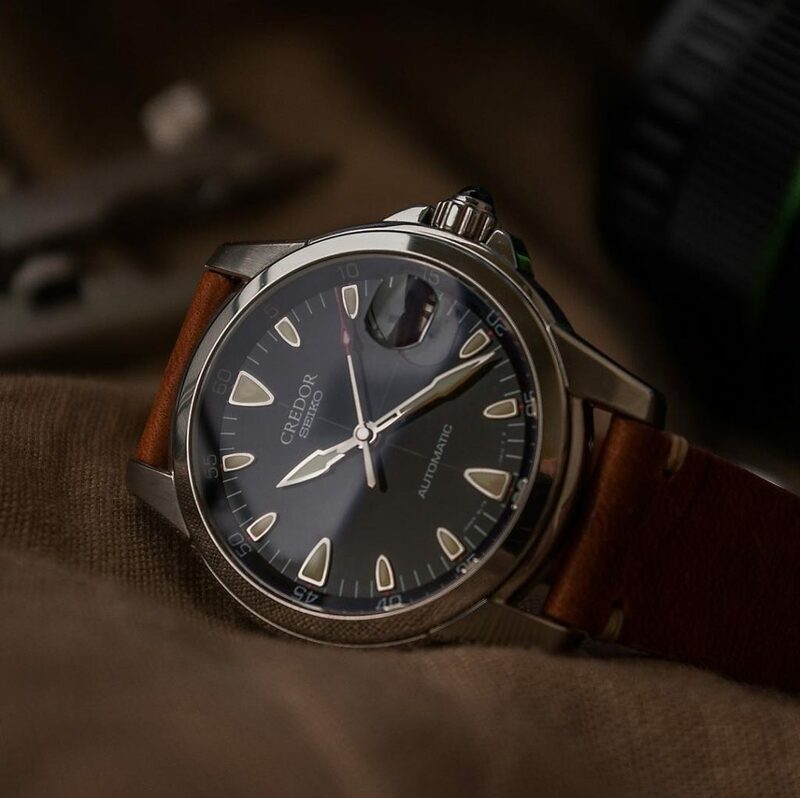 This article will show you show you what those two brands are all about, how they differ, where their paths cross, and how Grand Seiko and Credor are actually the two faces of the same coin. 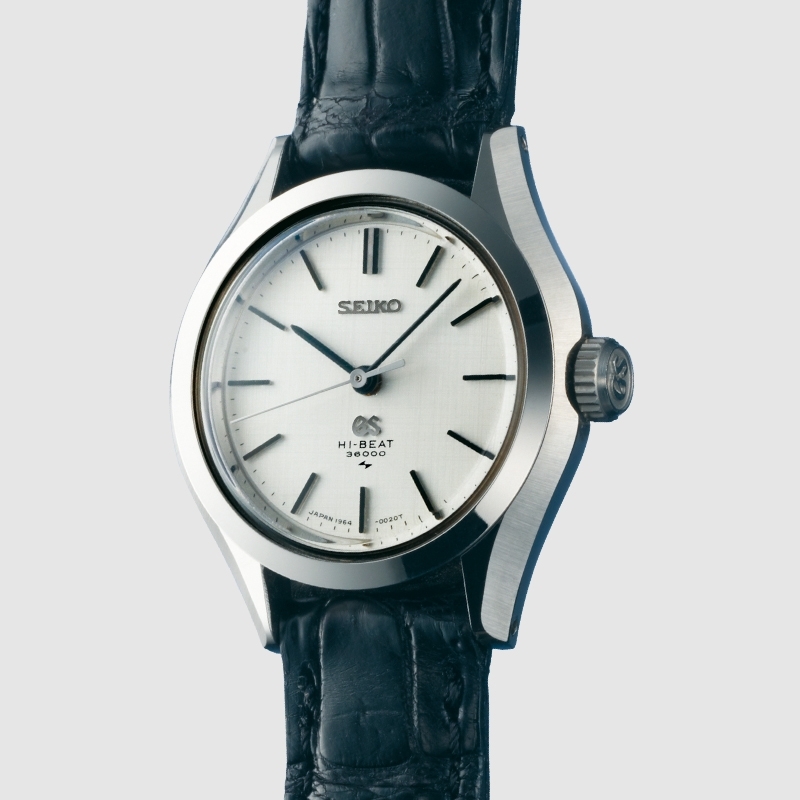 Grand Seiko was launched in 1960 with a singular mission statement: Make the best watch in the world. Just as simple as that. But what does «the best» mean exactly? 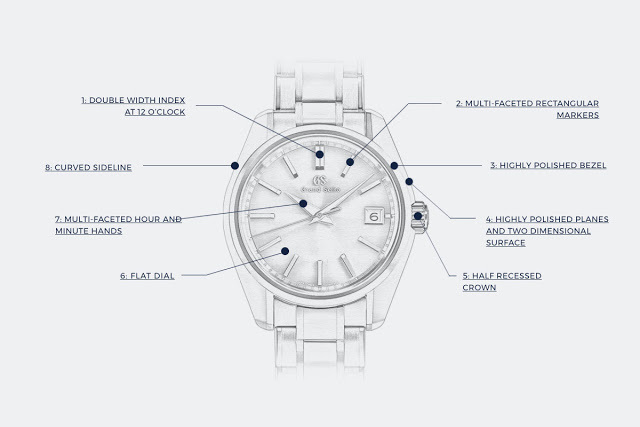 As much as this notion can vary from people to people, from brand to brand, the idea behind Grand Seiko was to create the ultimate everyday watch, the perfect practical timepiece. There are a few criteria that are taken into consideration in the case of Grand Seiko to make the best watch. First of all, a Grand Seiko has to be accurate. The quest for the ultimate precision and accuracy is one of the most important part of Grand Seiko’s DNA. A Grand Seiko has to be legible. What’s the point of wearing a watch if you have to squint and squirm to decipher the time ? A Grand Seiko has to be durable. Durable means the movement has to be very reliable. Durable also means the design has to be simple enough for the watch to remain a beautiful object even as fashion and cultural trends change over the decades. 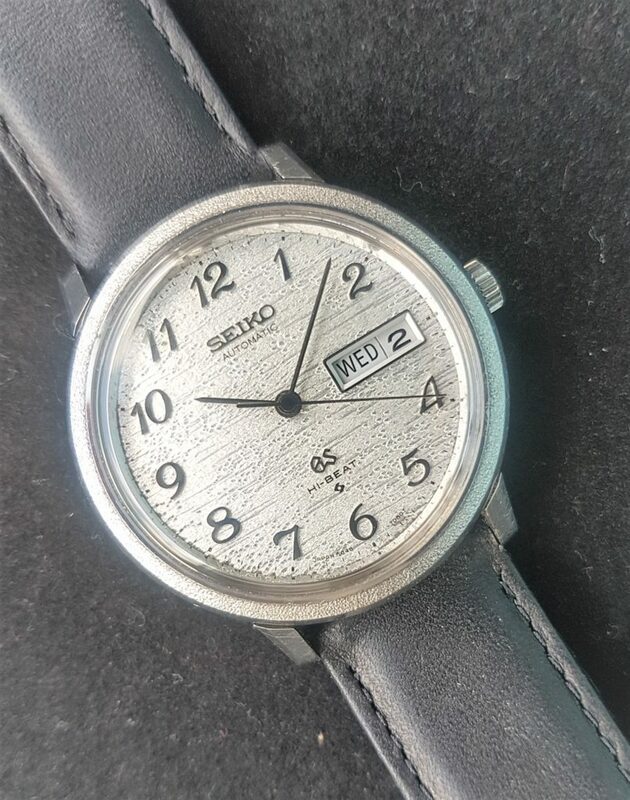 Fortunately for Seiko, usually a simple design means a legible watch. The essence of Grand Seiko can be summed up this way: simplicity before complexity, legibility before decorations, and accuracy before complications. And of course, it has to be a beautiful object. Who would deliberately design a watch that looks bad? So a perfect Seiko watch — a Grand Seiko — is a very practical everyday watch, a watch that’s easy to wear, easy to read, accurate and obviously beautiful. The DNA of Grand Seiko is encapsulated in the brand’s modern slogan: «The pure essentials of watchmaking, elevated to the level of Art». If I had to describe Grand Seiko in just two words, they would be practicality and perfection. 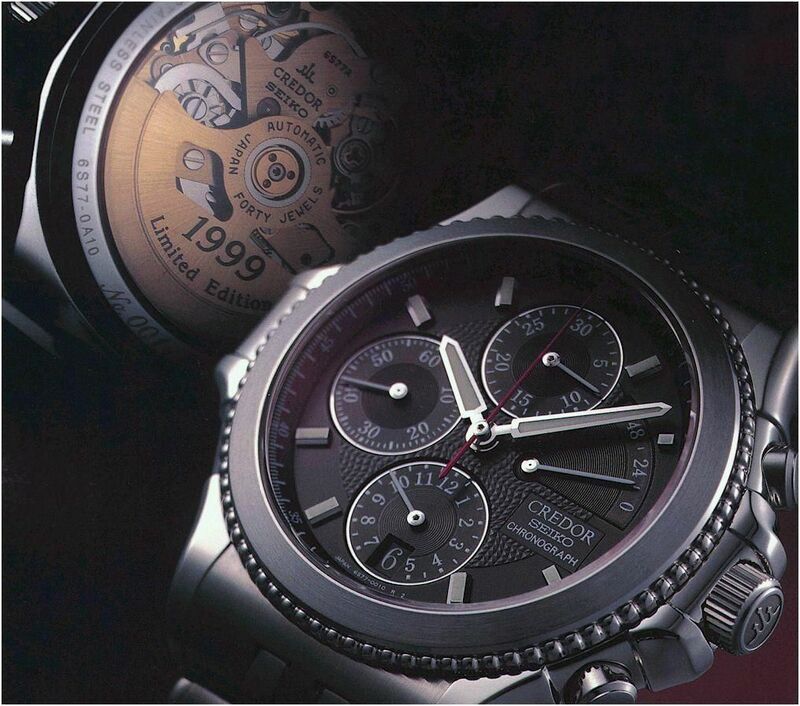 Let’s take a look at how Seiko translates these core values into watches. 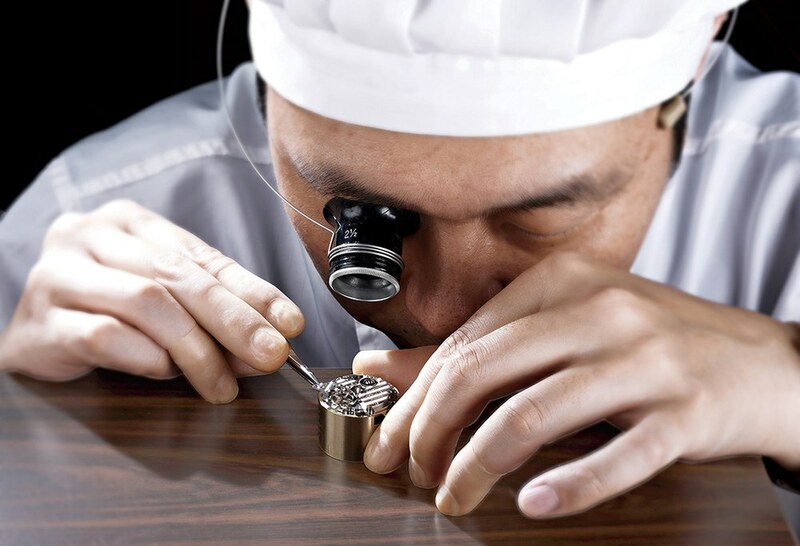 To do this we first delve into Grand Seiko’s design principles and then survey Grand Seiko’s watchmaking expertise. Where there could be entire books written just on this topic, this article will just be a survey of the philosophy and inspirations for Grand Seiko’s design. We will have more detailed articles about specific incredible Grand Seiko designs later on. When Suwa Seikosha launched the first Grand Seiko in 1960, the reference J14070, they took most of their design inspiration from the Lord Marvel, at the time their most luxurious watch. 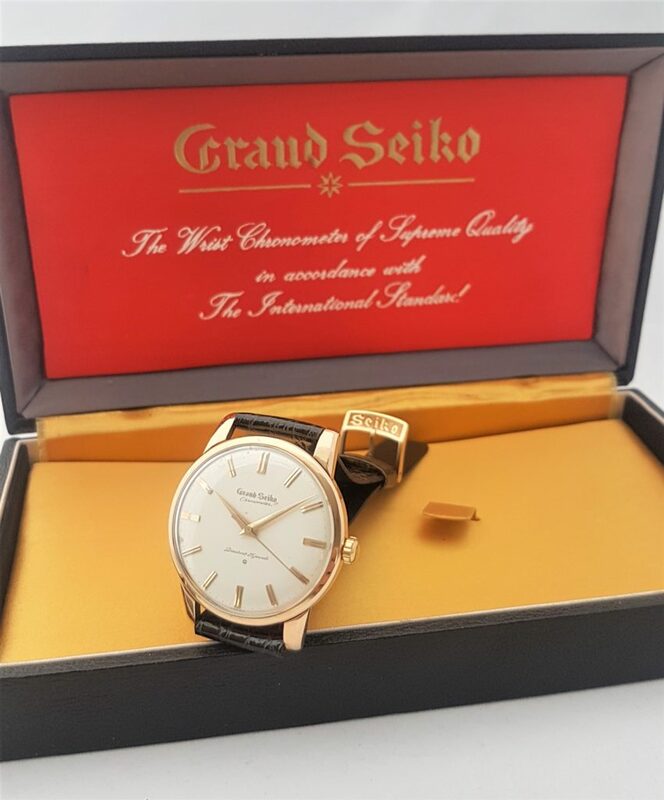 The 1960 Grand Seiko incorporated the luxury aspects of the Lord Marvel, including the diamond cut hands, gold indexes, engraved dial and gold case. There are a lot of similarities between the Grand Seiko J14070 and the Lord Marvel J14039 (for instance, but there other LM references) ! The result was a very elegant watch, simple, yet modern for its time. 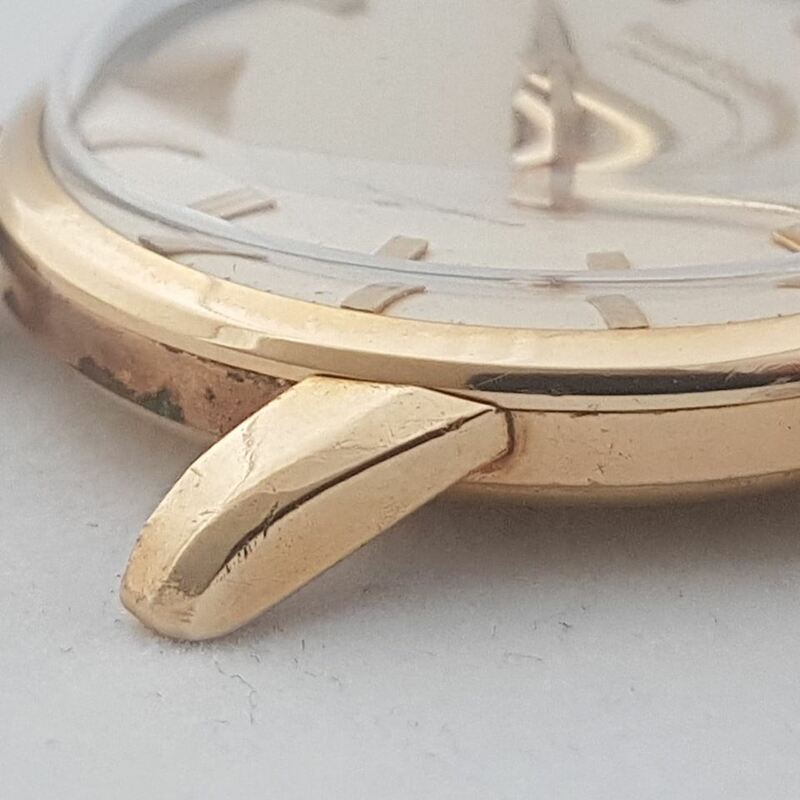 One of the most interesting aspects of this watch’s design were its lugs, which had a distinctive beveling that would eventually become a signature of the Grand Seiko style. 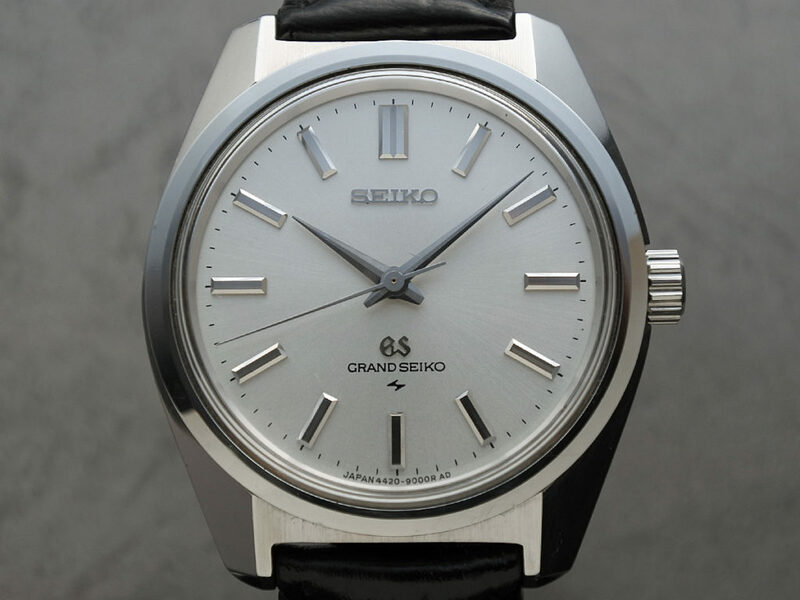 When Grand Seiko launched their second model, the 43999 (that would become the 57GS), they decided to modernize the design of the watch but keep the DNA of the first model alive. The result was a watch that appears totally different, but when you look closely, you can see the filiation. 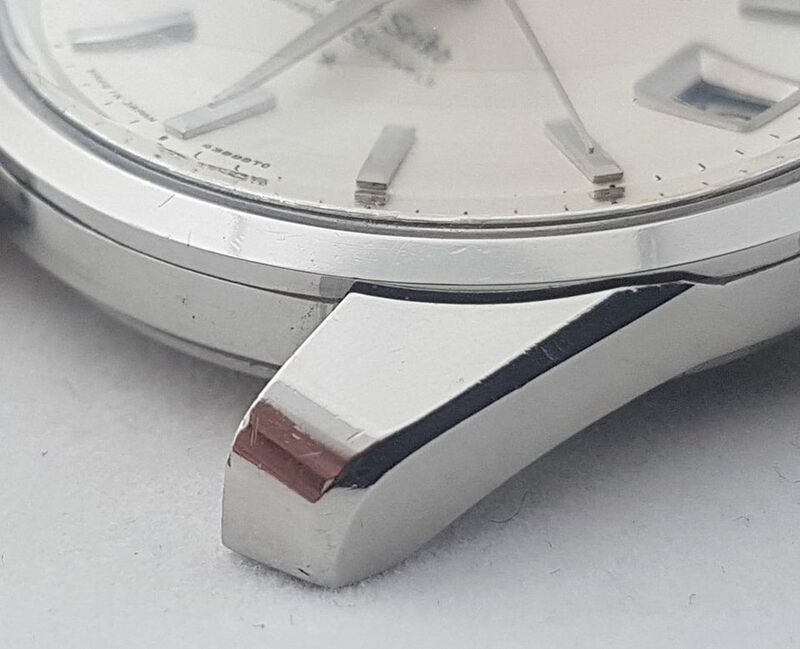 Even though the case was now stainless steel and looked more robust, the watch still sported the diamond cut hands and indexes, and the famous bevel on the outside of the lugs. And even though those lugs were wider, making the watch wear bigger, Seiko stayed true to the first Grand Seiko but reinterpreted their first watch in a more modern way. 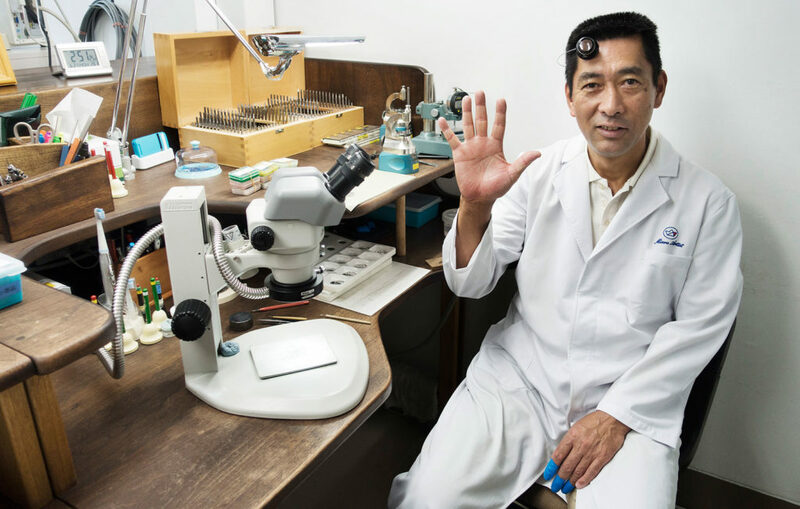 In 1959, Suwa Seikosha hired a dapper, young designer from Tokyo, Taro Tanaka, who would become a Seiko legend, not only for his gentleman manners, his impeccable goatee and his love for tweed, but first and foremost for the unprecedented and inimaginable impact he had on Seiko’s future. 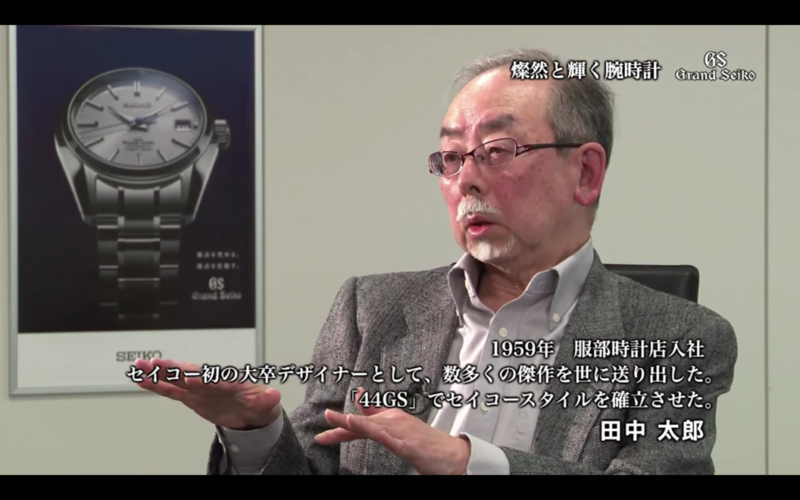 Taro Tanaka was the first designer to join Seiko. At the time, there was no word in Japanese to explain what a designer was. 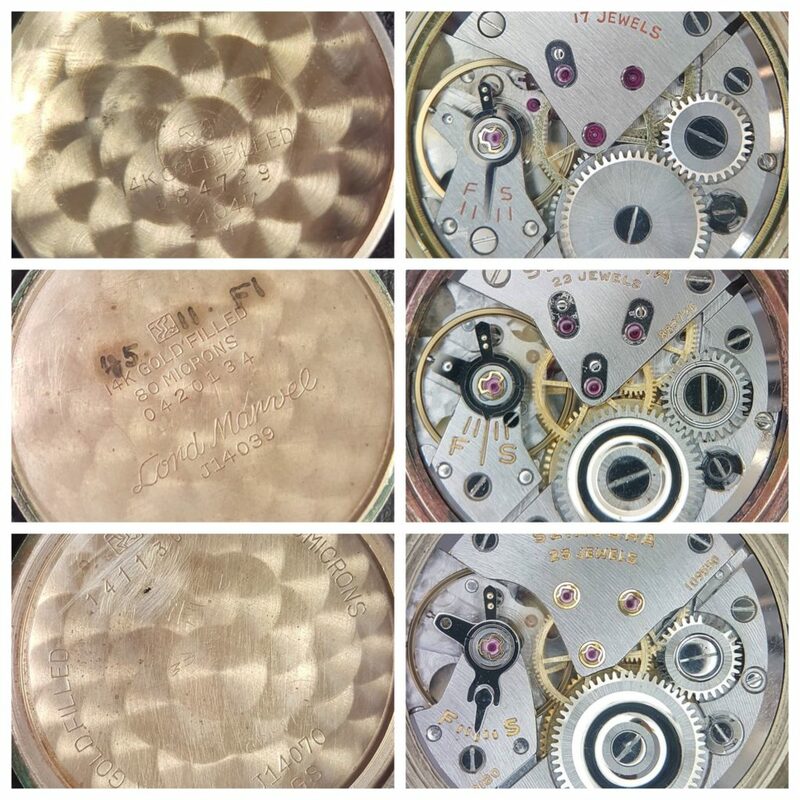 In the 1950s and early 60s, watch cases and dials were designed separately. What Taro Tanaka brought to the table was the revolutionary concept of designing a watch as a whole: case, dial, hands, indexes — everything. The real game changer occured when Tanaka san visited Wako, the high-end department store owned by the Seiko group where they sold luxury items, including Grand Seiko and other imported high-end watches. When Taro Tanaka walked in, his eyes locked on a display cabinet with beautiful watches. But when he stepped closer, he realized that those watches that hooked customers into contemplating and eventually buying them were not Grand Seikos. Even more tragically,\, the Grand Seikos in the adjacent showcase looked dull in comparison to the shiny and gleaming Swiss watches. This day at Wako is what lead Tanaka to create a set of design rules that would make Grand Seiko stand out. The Grammar of Design was born. A fun aside: in Japanese “Grammar of Design” is called «Seiko style» because it was applied to the entire Seiko line and defined Seiko’s visual identity. Even Seiko 5’s got designed with some «Grammar of Design» elements. You’re probably familiar with the Grammar of Design: flat surfaces, sharp angles, flat dials, diamond cut hands and indexes , and other attributes. You can find many detailed information online on what those rules are. They are generally well-known to Grand Seiko collectors, but I want to go beyond describing these rules and explain how these rules came to be. I will try to show you the philosophy and inspiration behind the rules. The first concept to be aware of is that Grand Seiko’s style is quintessentially Japanese, it’s rooted deep into the Japanese aesthetic sensibility. It’s a very clean and refined design. A central feature the Grammar of Design is the play of lights, how the watch interacts with light to create beautiful effects of contrast and legibility which is one of the most important elements in the perfect watch, according to Seiko. Taro Tanaka got his inspiration from two main things. The first source of inspiration is very Japanese: shoji doors, traditional Japanese sliding doors. 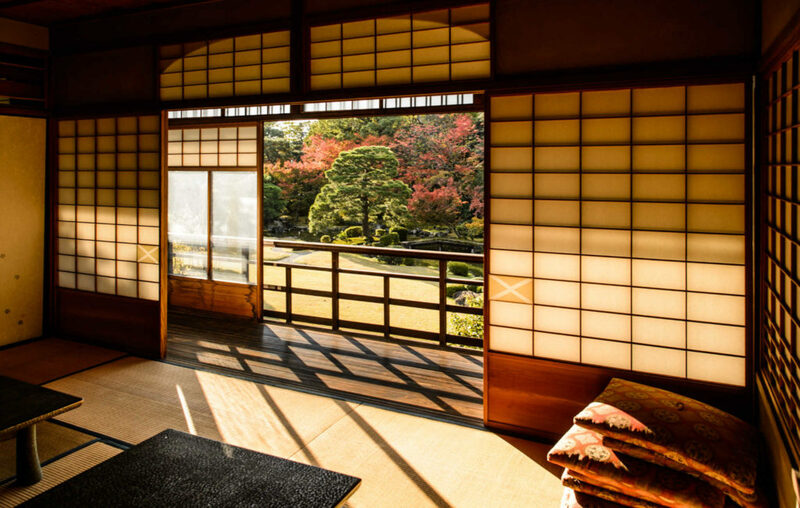 They are part of traditional Japanese architecture and play an essential role as the connection between the inside and the outside. 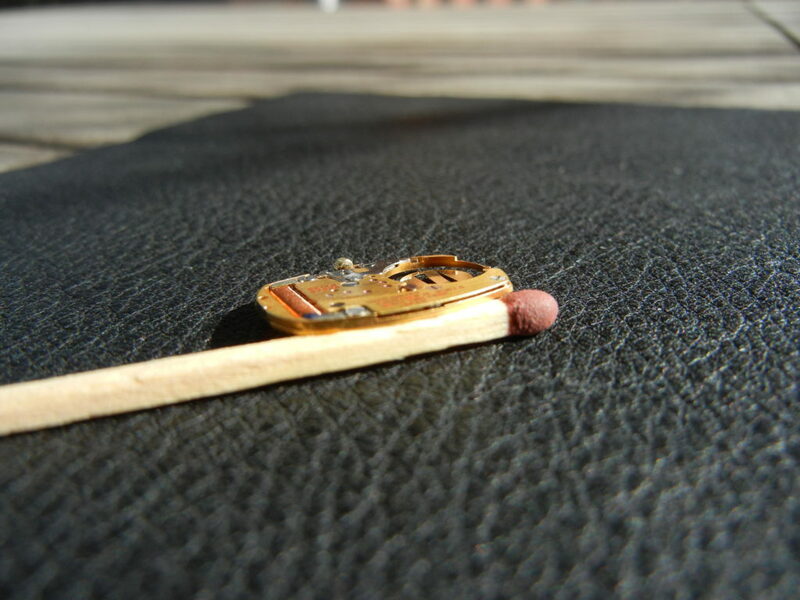 But they also play an important role on how a room is lit. The hour of the day, whether the doors are closed or open, on whether the light source is natural or artificial or is in front of or behind the doors, the doors create different kinds of ambiance in a room. Shoji doors also allow a certain kind of transparency through shadows that create contrasts. And all that is achieved through straight lines and flat surfaces, just like the Grammar of Designs uses flat surfaces and straight lines to create contrasts and play of lights on the cases. The second inspiration for Taro Tanaka was the cut of diamonds. 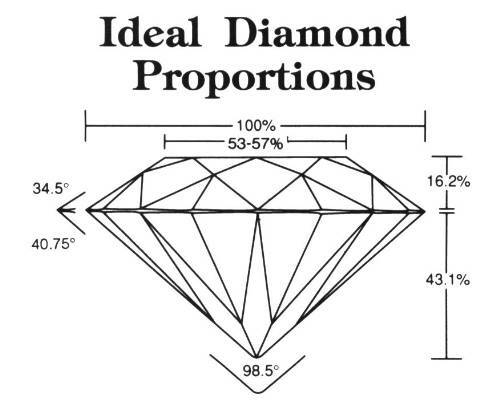 Diamond cutting follow strict rules. The number of faces, the measurement of each angles, the facet proportions are critical. The goal of such rules is to produce the maximum brightness and shine out of the stone. If a gem is not cut correctly, it won’t cast the same kind of gleam and won’t look as good as it should. The Grammar of Design works in the exact same way. Each case is designed to have specific angles and surfaces that play with the light in a unique fashion, just like a diamond is cut to cast the most beautiful sheen. The first watch that was created according to the rules of Taro Tanaka was the 44GS, and it is commonly accepted that this is the ultimate expression of the Grammar of Design. When we look at this beautiful picture, it’s very easy to understand why. When you start searching for plays of light and contrasts, you understand what was the idea behind this design, and why this is considered as the most perfect expression of Taro Tanaka’s design. But the difference between a watch and a diamond is that a watch case can be both polished and brushed for maximal contrast, but a diamond can only be polished. 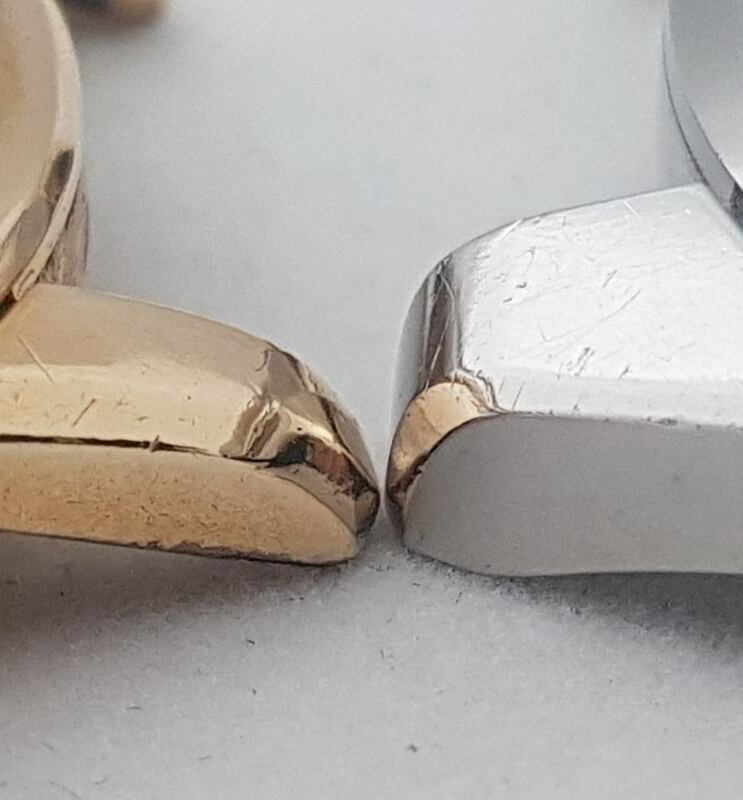 Now look at the contrast between the lugs and the brushed part between the lugs, the contrast between the upper surface of the hands and their polished sides. 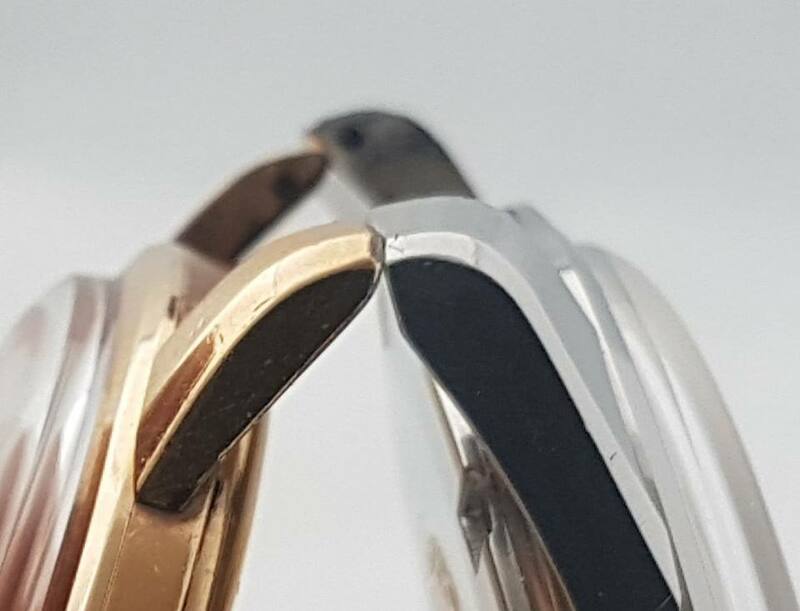 Also pay attention to the bezel and its two surfaces that present another kind of contrast, this time between two polished surfaces oriented in different directions and separated by a very sharp and clean angle. This is when you understand why Zaratsu polishing is so important. Zaratsu is very similar to «black polish» which does not refer to a citizen of Warsow with African ancestors, but to a technique used in «Haute Horlogerie» to polish some parts of the movement. The goal is to create a perfectly flat and undistorted polished surface that makes the polished bit look either black, white or some shade of grey depending on how the light hits it. By obtaining the same result on the watch case, Zaratsu creates not only very sharp angles and flat surfaces, but most importantly it creates dramatic contrast between the different surfaces, and this contrast is at the very root of what the Grammar of Design is about. 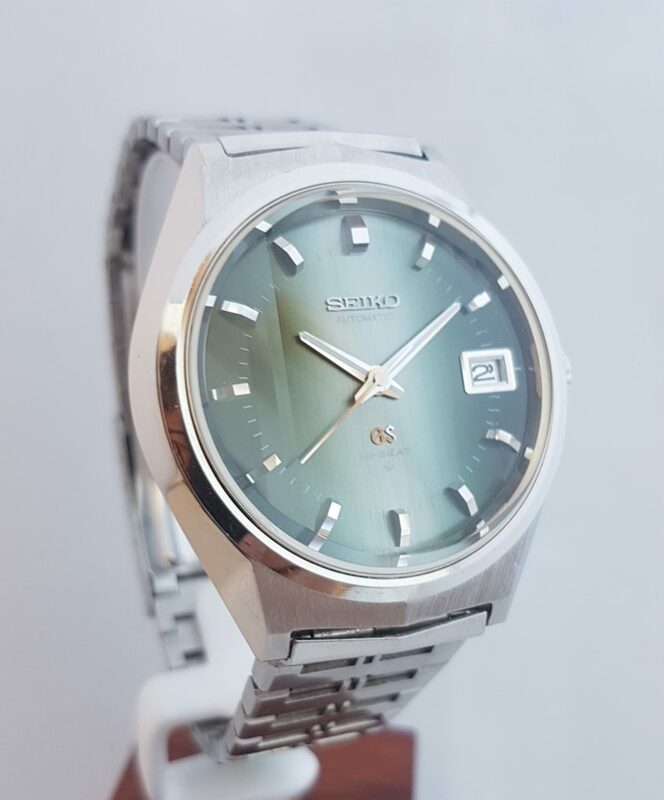 Zaratsu isn’t just pretty, difficult technically and unique in many aspects, it’s first and foremost a consequence of Grand Seiko’s design philosophy. The case design is very interesting on its own but as we said, Taro Tanaka didn’t design just cases but the watches as a whole. And there’s a lot to say about the dials, hands and indexes. As we already mentioned, the design of the face of a Grand Seiko serves a major point in Grand Seiko’s quest for perfection: legibility. The hands and indexes are diamond cut (diamond you said? doesn’t that remind you of something?) and perfectly polished with the same intention as the case: providing contrast. If the upper surface of the hand appears white, then the beveled edges will look black, which makes the hand pop on a clear dial. When the upper surface appears black, the beveled edges look white. On a dark dial? The upper surface is brushed and always appear as some shade of grey. “Why is that” you may ask? A perfectly polished hand will appear black when the light strikes it at a certain angle, making it very hard to read the time. The brushed surface ensures that the hands always stand out on the dial for a perfect legibility. The same exact thing is true for the indices too. What’s interesting is that when looking at Grand Seiko early years, you see two kinds of designs: the ones before the Grammar of Design – the Grand Seiko First and the 57GS – that show the premises of what will become the Grammar of Design (the 57GS is the first watch to use zaratsu polishing), and the watches after the 44GS that, for the most part, take their inspiration directly from the Grammar of Design. 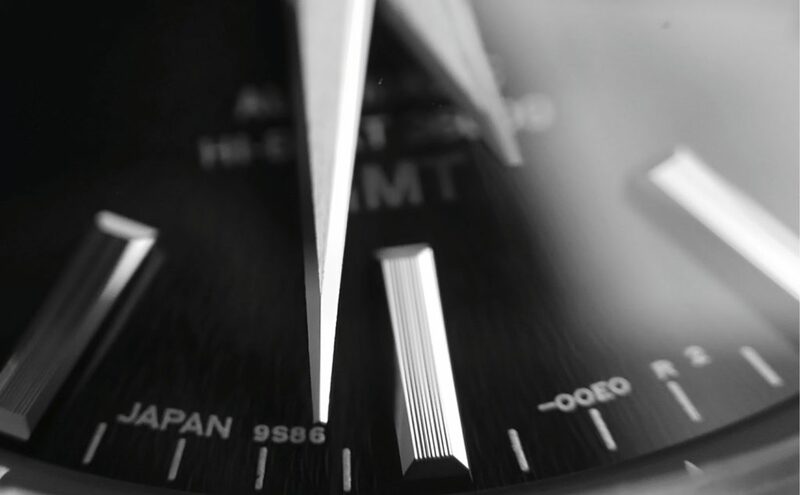 As we said, accuracy and precision are probably Grand Seiko’s most essential value. 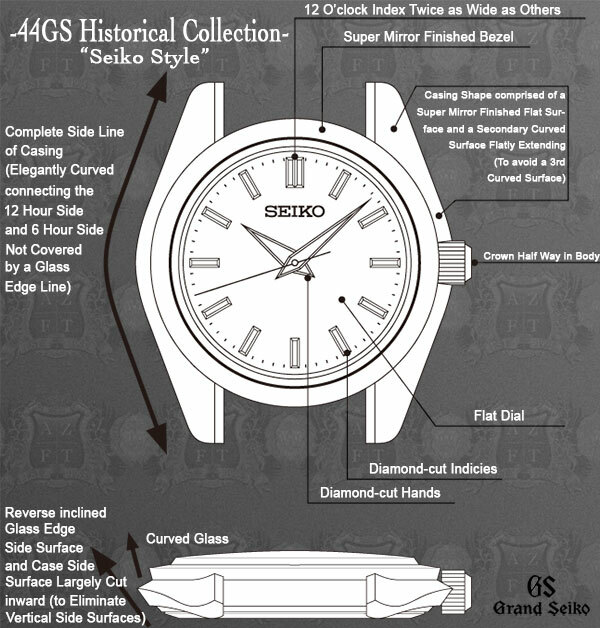 Grand Seiko’s history shows how clear that is. This pursuit of precision can be clearly seen in how the caliber 3180 that’s found in the Grand Seiko First (J14070) came to be. It all began with the 1956 Seiko Marvel. The Marvel’s movement was Seiko’s best calibre at the time, having won nine chronometry titles in Japan. But for Seiko, this was not good enough, so they created the Crown, a watch with a movement based on the Marvel, but even more accurate. As we noted it in our article «The birth of Grand Seiko», the cal.3180 from the first Grand Seiko was largely based on the caliber found in the Seiko Crown, but was upgraded. Basically, Seiko took their best movement, made it better, then took the improved movement and made it even better to create the cal.3180. The chronometry standards Grand Seiko has used also shows how dedicated to precision and accuracy Grand Seiko has always been. 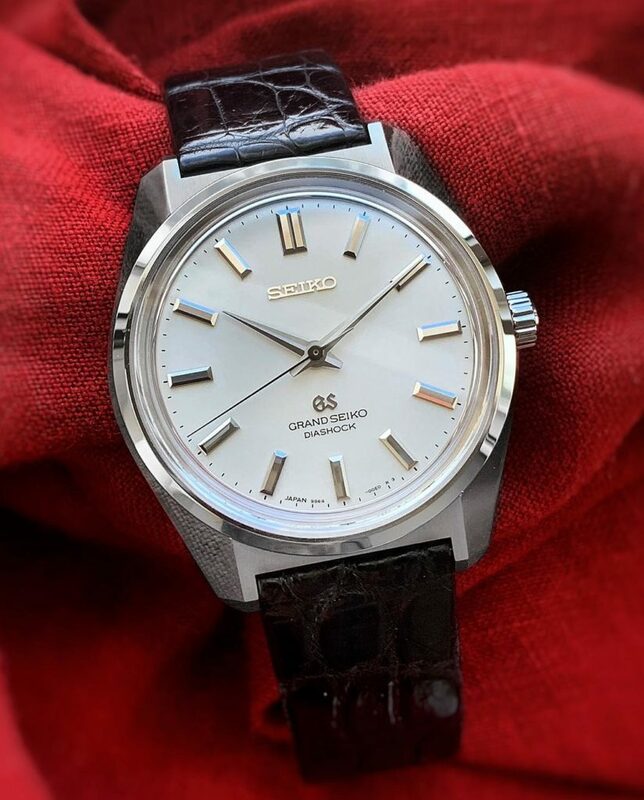 When they launched the first Grand Seiko in 1960, the watch proudly showcased the “Chronometer” mention on the watch’s dial, but also on the box and papers. The exact words printed on the First Grand Seiko’s box were, «Wrist Chronometer of Supreme Quality in accordance with the International Standard». What this meant is that Seiko used the Swiss Observatories’ Chronometer standard and applied those strict criterias to their watches by testing them in-house. But in 1966, the Comité International de Contrôles Chronométriques (International Committee for the Chronometric Controls, which become the COSC in 1973) forbade Seiko from using the designation “Chronometer” because all chronometer watches had to be tested by an independent organization in order to use this standard rightfully. The Comité International de Contrôles Chronométriques’ decision had a significant impact on Seiko’s history because it lead to the creation of the Grand Seiko Standard, a standard that Seiko made sure would always be better than the Swiss Chronometer Standard. And afterall, it’s only logical when you try to beat the Swiss at their own game. But producing a relatively large quantity of watches with Grand Seiko grade movements, requires considerable research and development. Throughout the 1960s, Seiko teams spent much time researching how to make even more accurate mechanical movements. For now I will pass on the development of quartz movements but this was another integral part of Seiko’s R&D efforts in the 60s. We would rather focus on the mechanical movements for now. 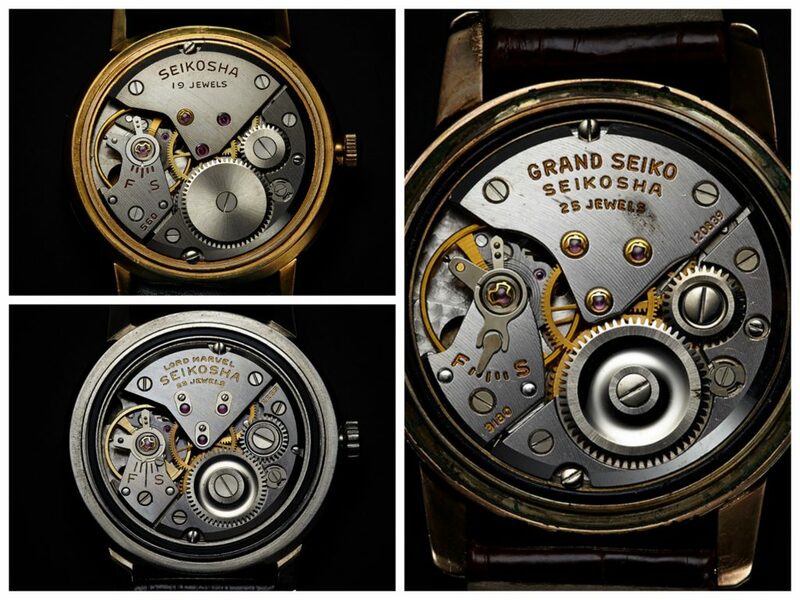 Each of Grand Seiko’s movements have their own specific specificities when it comes to timekeeping. 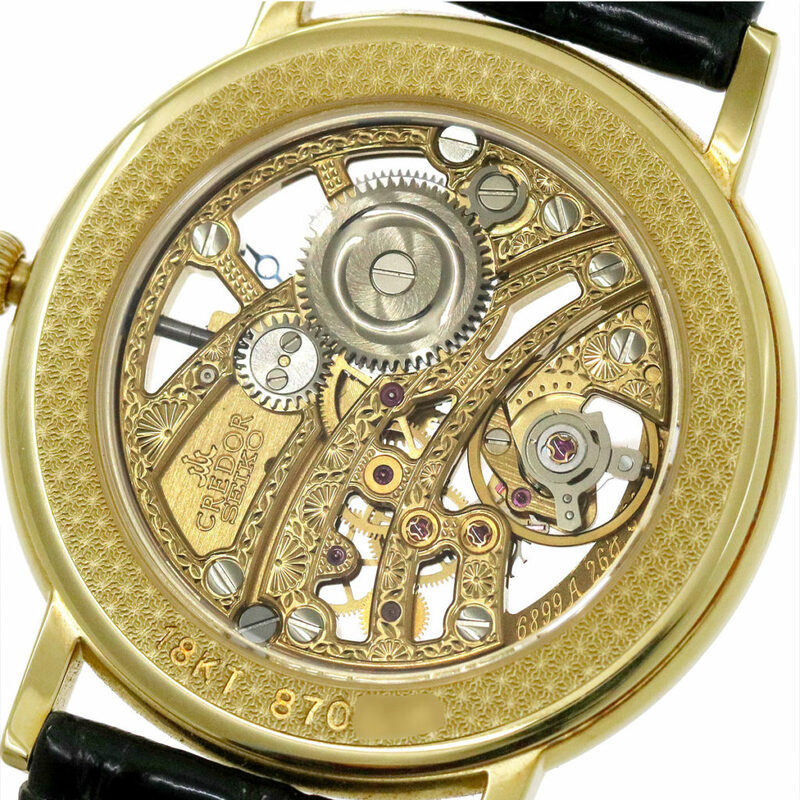 For instance, the cal.3180 used a larger and more stable balance wheel compared to the Crown’s movement. The cal.430 used some sort counterweight on its mainspring, which Seiko’s research and development team had found was more efficient than a Breguet terminal curve. 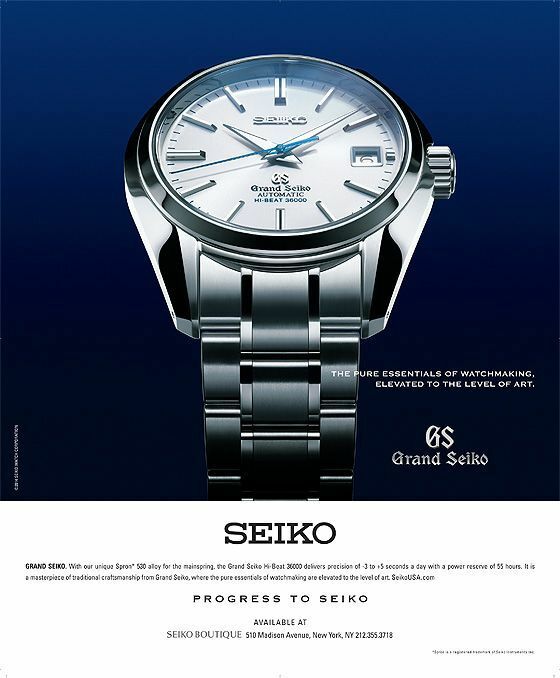 In 1967, Grand Seiko launched the 62GS, the first Grand Seiko with an automatic movement, a major achievement. 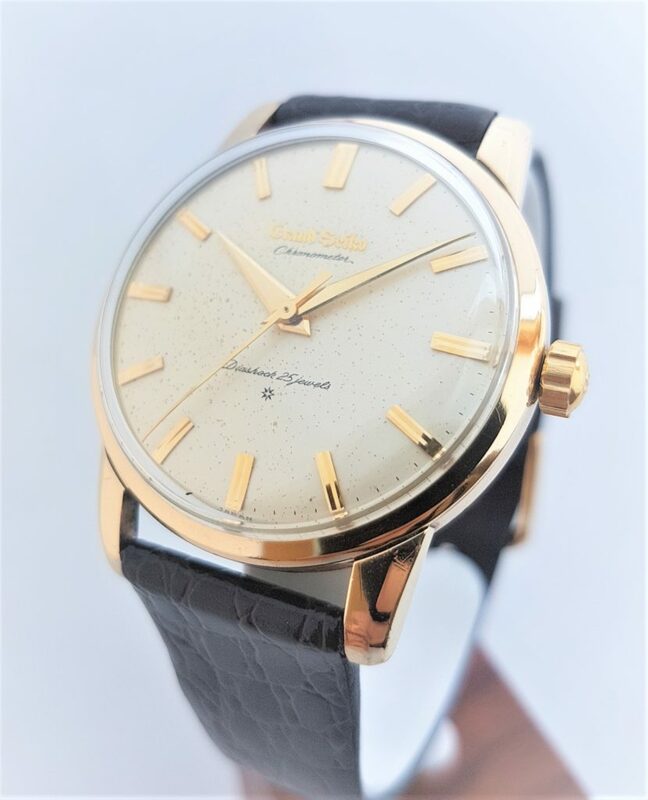 The 62GS was another consequence of the 1966 CICC affair as the Seikomatic Chronometer became the 62GS, an almost identical watch with the same movement and only some minor aesthetic changes. I know what you’re thinking right now « An automatic movement is not more accurate than a manual one, so what does it have to do with Grand Seiko’s DNA?». Well, you are right. 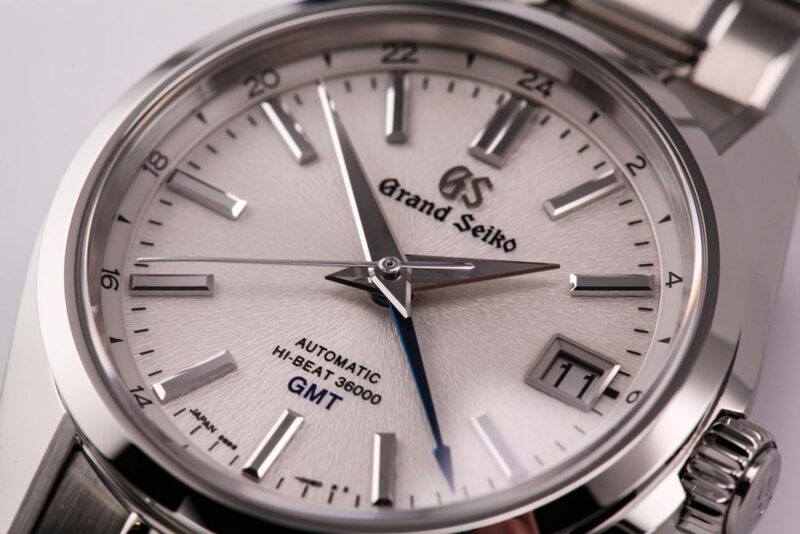 But remember, Grand Seiko is about accuracy, sure, but it’s also about practicality. 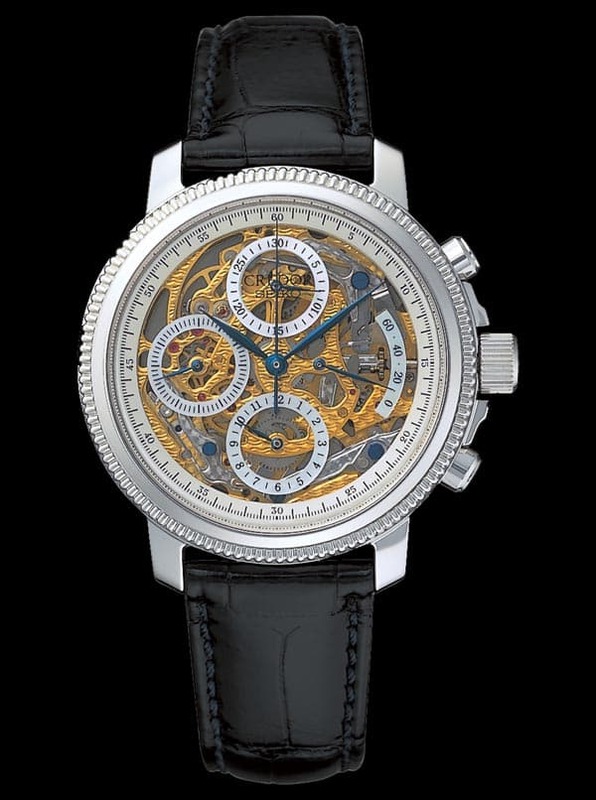 And almost everyone will agree that an self-winding watch is more practical than a hand-wound one. And we will get back on the practicality of automatic watch later too. Then came 1968, the year of the «Hi-Beat» (it rimes in French, sounds much better believe me !). In 1968, Suwa Seikosha launched the 61GS, a Hi-Beat automatic movement, and Daini Seikosha launched the 45GS, a Hi-Beat manual movement with an instant-change date mechanism (which was another exceptional feature half a century ago). As if this wasn’t enough, Daini Seikosha also launched the first ladies’ Grand Seiko, the 19GS, equipped with what is still, in 2019, the only Hi-Beat caliber made for a woman’s watch. The hi-beat technology was developed by Seiko to participate in the Swiss Chronometry challenges; it was subsequently incorporated in those amazing movements. Then came 1969, the year of the VFAs. 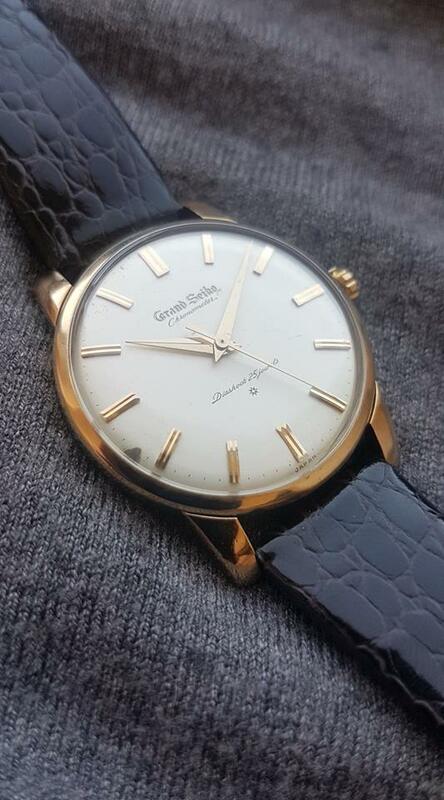 Grand Seiko had released the 61GS, 45GS and 19GS the year before. Without pausing to breathe, in 1969 they released the first 61GS VFA and 45GS VFA. 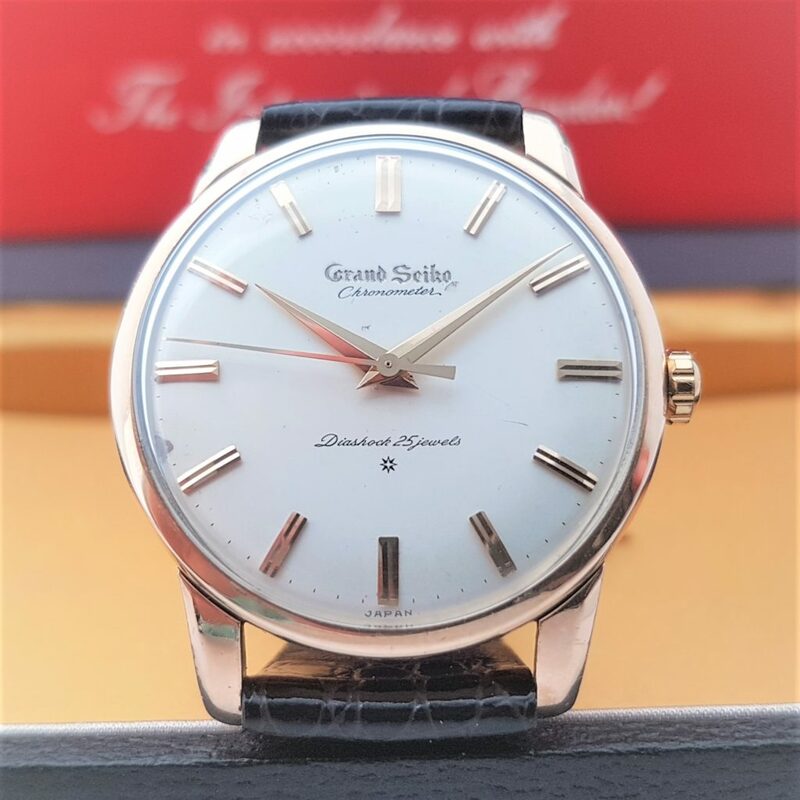 The 19GS VFA came a little later in 1972 (according to Grand Seiko’s official release dates). VFA stands for Very Fine Adjusted. These watches were finely tuned to an average error of no more than +/- 2 sec/day (actually +/- 60sec/month), guaranteed for two years. Those VFA watches were the absolute pinnacle of watchmaking for Seiko. Indeed, they were unprecedented in the history of watchmaking. It’s only recently, in the mid-2010‘s that Rolex certified its watches for the same +/- 2sec/day. But don’t get this the wrong way, Grand Seiko continued to release new mechanical watches after releasing the first VFA. But things were very different now because doing better than the VFA was just impossible. 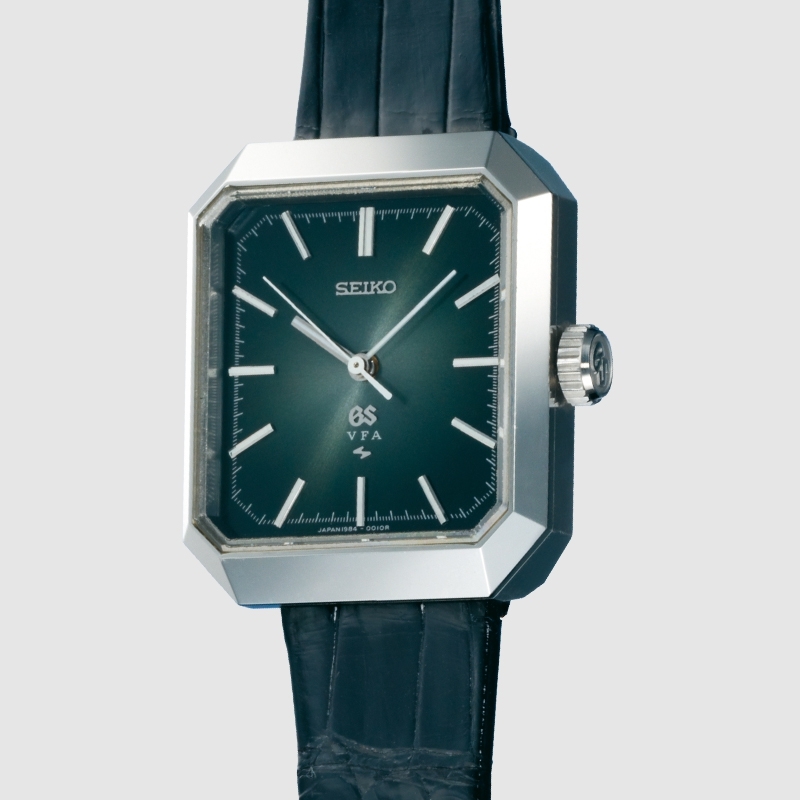 And not only that, but in December 25th 1969, Seiko released the Astron, the first ever quartz watch to hit the market. And no matter how amazingly well built and adjusted the VFA were, quartz was about to send a big blow to the mechanical watches. And this is truly important for Grand Seiko. As we’ve kept saying since the beginning of this article, Grand Seiko aimed at making the best watches in the world, which meant also the most accurate. And then…quartz happened. 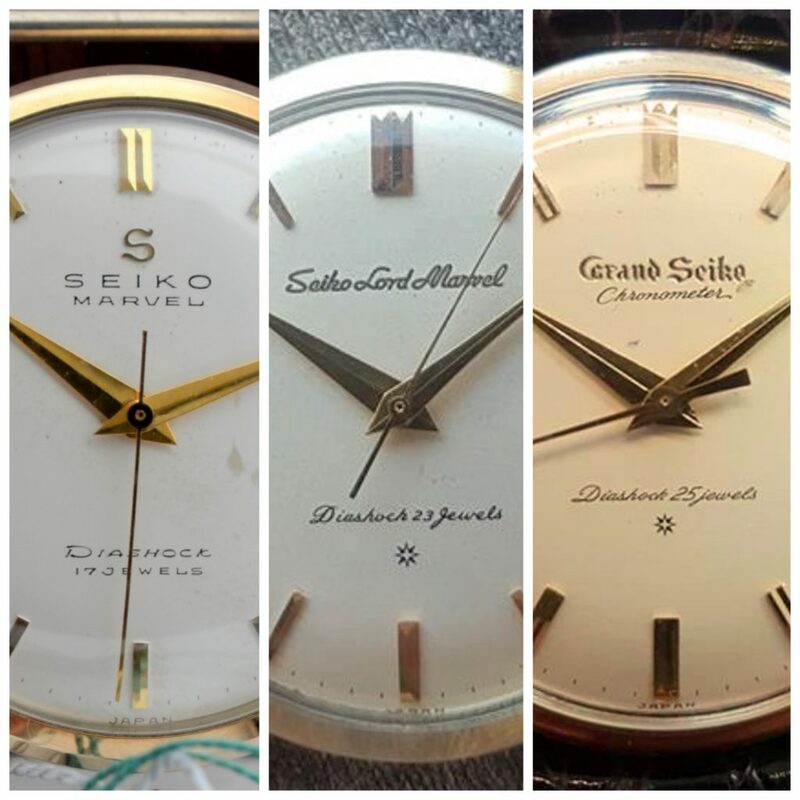 The change was huge for Grand Seiko. Even though they kept working on existing calibers, the only entirely new mechanical movement launched after the Astron in 1969 was the 564x found in the 56GS series. This caliber was a 28,000 bph automatic movement, thinner than all the previous GS automatic movements. Its production was automated, which made it a cheaper high quantity movement. While the 56GS had a very good movement, the various VFA were in a different league. 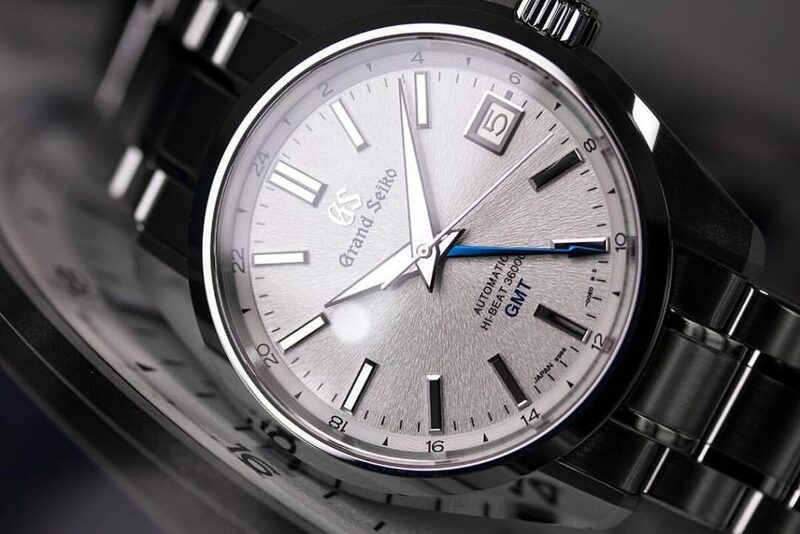 The 56GS «family» shows the radical change that quartz enforced on Grand Seiko. 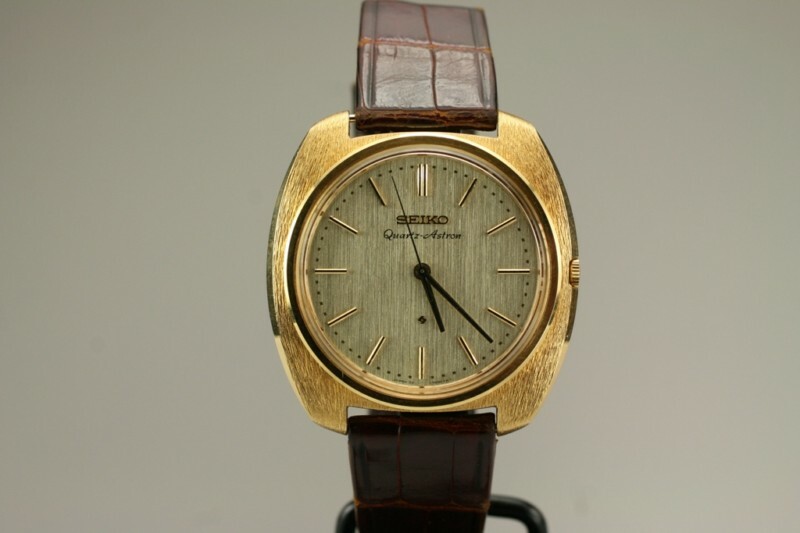 The Grand Seiko line disappeared in the mid 1970s, and was entirely taken over by quartz watches. As Grand Seiko was the incarnation of the ultimate high end mechanical watches, no quartz Grand Seiko was ever released in the vintage era. 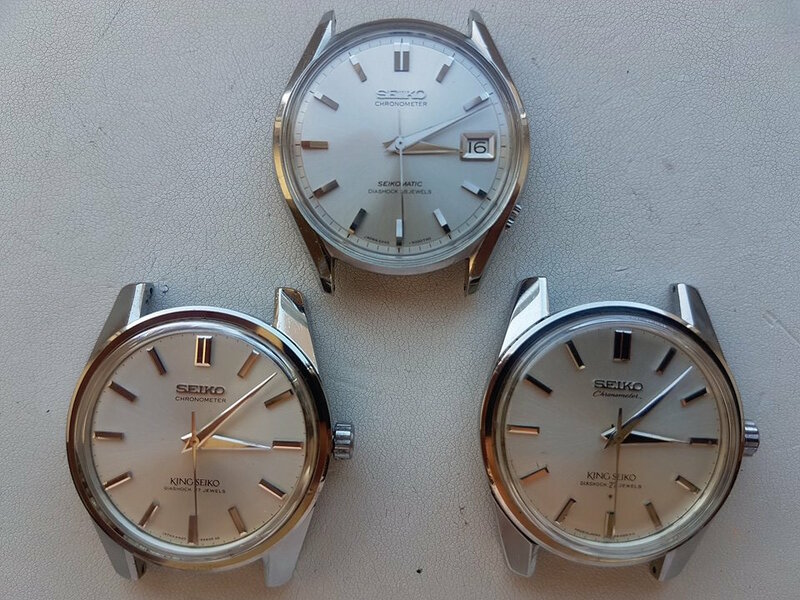 Instead Seiko made the Grand Quartz, VFA Quartz and Superior Quartz models. But don’t be sad, the King is dead long live the King, or should I say the Grand is dead, long live…who? 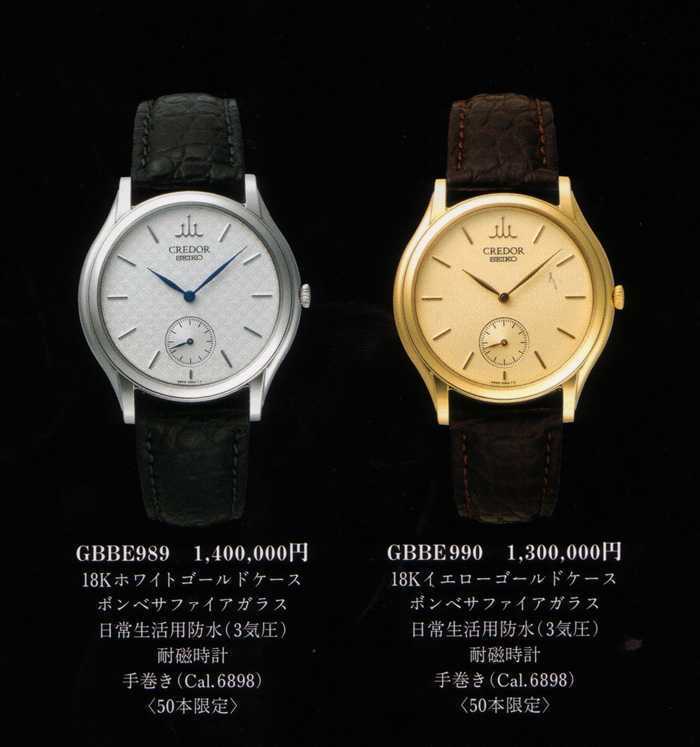 From 1960 to 1969, Grand Seiko was Seiko’s top brand, both in quality and price. But the quartz Astron was a bombshell, forcing a paradigm shift for everyone, including Seiko. Seiko’s early quartz watches dethroned Grand Seiko as Seiko’s most expensive watches. 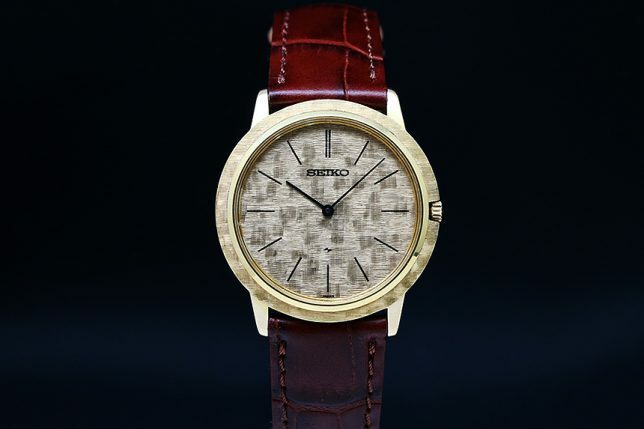 In 1974, Seiko separated their most high-end quartz watches into a line called Crêts d’Or, which literally means Golden Crests, but «Crêts» is a french word that applies more specifically to the summits of the Jura Mountains (as in Jurassic Park, yes), a chain of mountains spreading between France and Switzerland, known to be the birthplace of watchmaking. 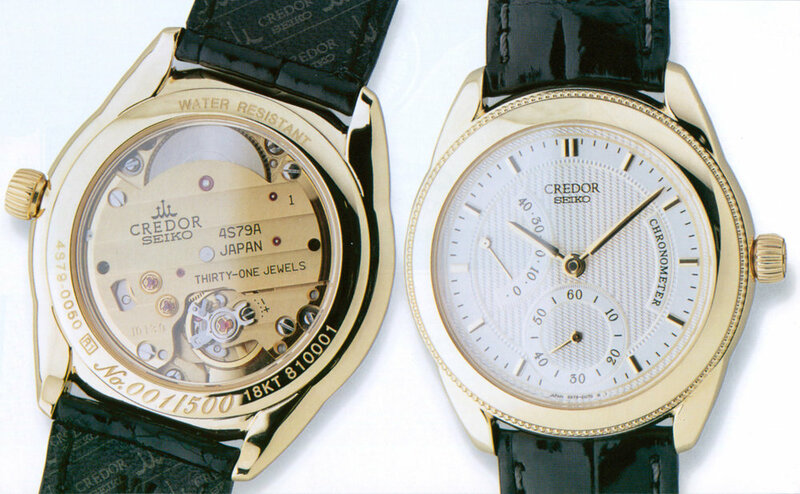 After alternating the name between Crêts d’Or and Credor a few times, Seiko finally settled on Credor (Credor and Crêts d’or have the exact same pronunciation in French) in 1978 but it still was just a separate line of watches within Seiko’s catalog and was branded with a simple SEIKO logo below the 12 o’clock position. 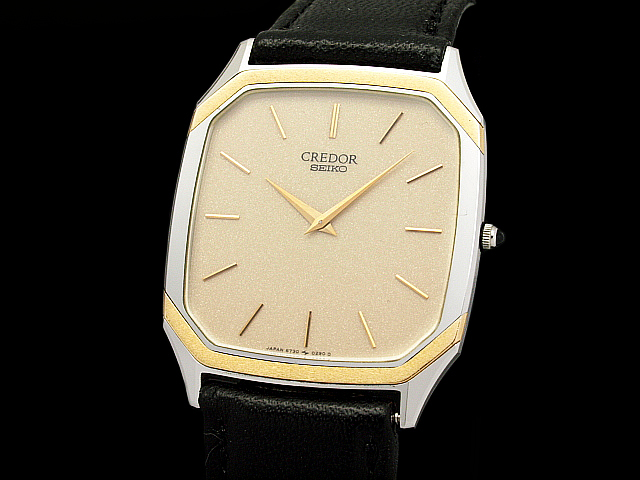 In 1978, Credor became its own brand, with the dial that said Credor Seiko. The first Credor logo appeared in 1980 on the Credor catalogue and a bit later on their dials. In other words, in the beginning, before becoming its own brand, Credor was just a specific line of Seiko composed of high-end quartz watches in precious metals such as yellow and white gold, or platinum. For more info on the early years of Credor, make sure you check Anthony Kable’s great article (link at the bottom). 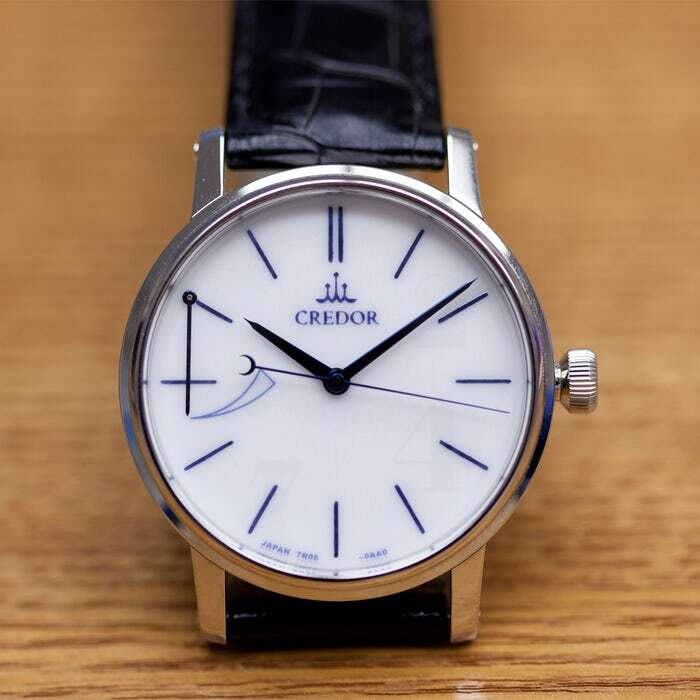 Just as Grand Seiko has its core values (accuracy, legibility and simplicity), there are a few specific traits to the Credor watches, represented by the three stars of Credor’s logo. The use of the latest technologies. 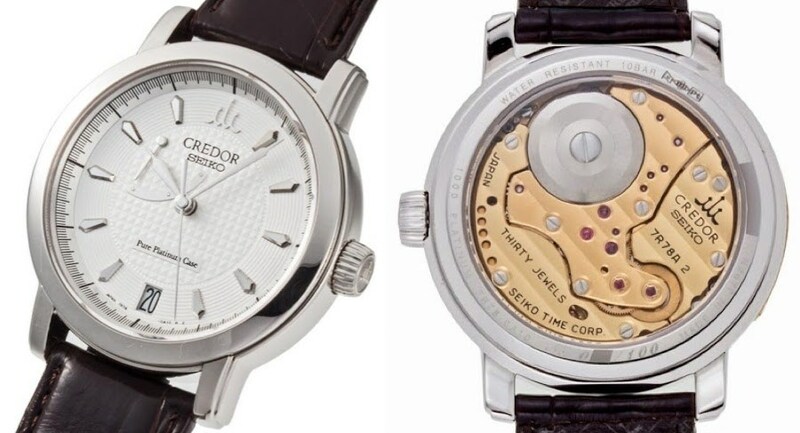 Credor has produced and still produces mechanical watches but it represents a small minority in the hundreds of Credor references that have existed (more on this shortly). The use of precious metals. Even though in its fortyfive year history, Credor has seen many stainless steel models, precious metals are a signature of the brand. Highlighting the know-how of craftsmen. 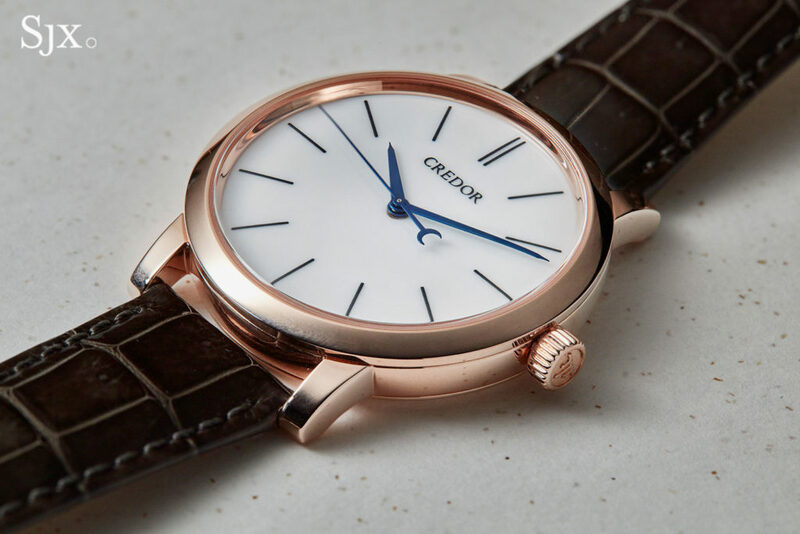 Whether we are talking about ultra-thin movement assembly, engraving, decorations, or gem setting, Credor watches highlight the amazing abilities and know-how of the artisans that make their watches. While Grand Seiko emphisizes accuracy, legibility and simplicity, Credor focuses on technologies, precious metals and decorations. The philosophies of Grand Seiko and Credor are actually quite different: Grand Seiko aims at making the best practical watch, whereas Credor aims at making the best dress watch. This could seem like a not so big difference but actually it changes a lot of things for Credor ! It uses a more modern design. There is no Grammar of Design, the watches have to look classy and luxurious — that’s it. During Credor’s forty-five year history, many lines have existed with many different inspirations and styles, depending on contemporary fashion. Some are very classic and others are more eccentric, but always dressy. 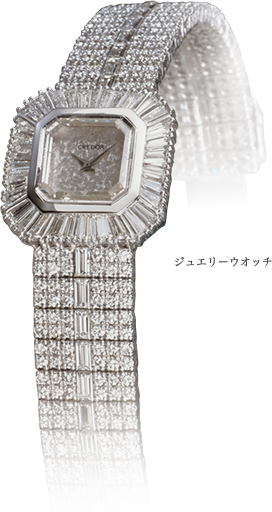 Credor watches are first and foremost luxury items; Grand Seikos are beautifully made, but not made to evoke luxury. Credor uses jewellery, something that was never found in Grand Seiko production. As we’ve seen previously, the Grammar of Design arose from the fundamental values of Grand Seiko and served a true purpose. With Credor, the values are different and the design doesn’t follow any specific set of rules. 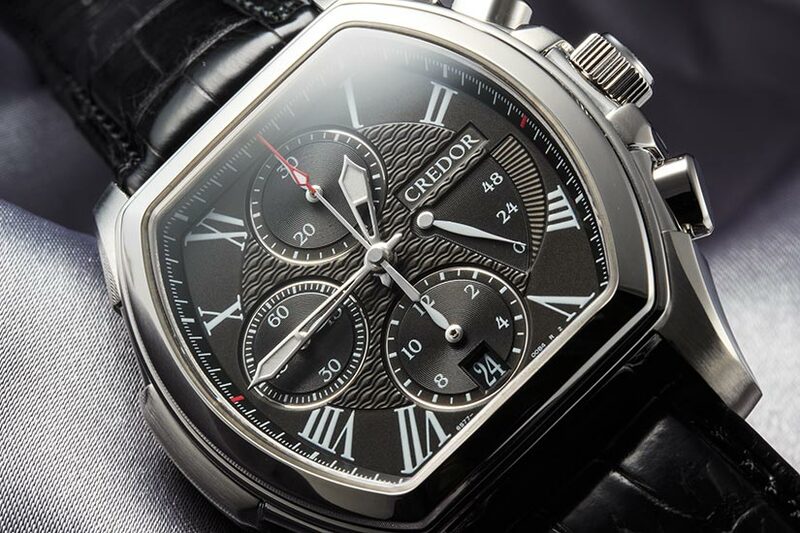 Credor makes classy dress watches, period. Practicality, simplicity and legibility are not a concern for Credor as long as the result is a beautiful, luxurious watch. This philosophy opened the doors for Credor designers to create many lines of watches with different styles. 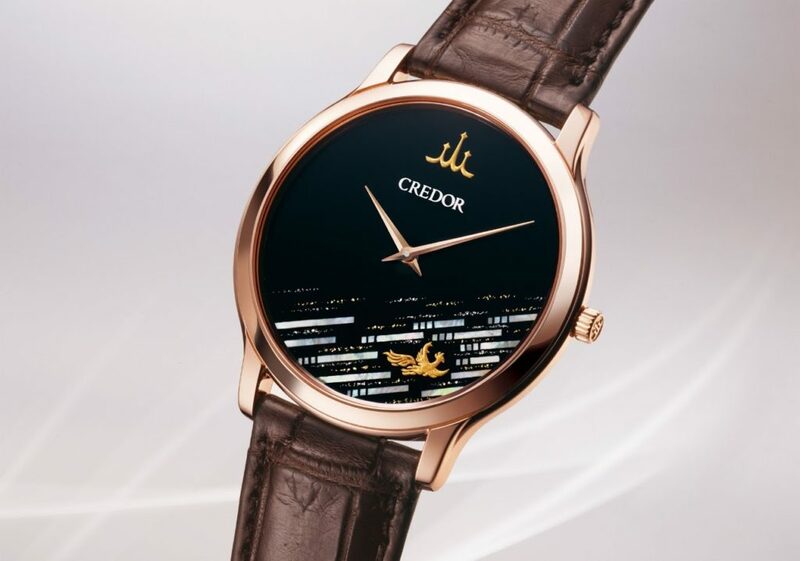 This makes the analysis of Credor’s design less interesting and deep as Grand Seiko’s because there is no actual Credor style further than «dress watch». But it could be interesting to look at specific Credor lines because they give insight into Credor’s design cues and inspirations. When looking at the watchmaking side of things, meaning the movements, here too Credor’s story is less complex than Grand Seiko’s. Grand Seiko always focused on optimal accuracy but Credor uses the latest technology. In 1974 latest meant quartz, but it didn’t always mean ultimate accuracy. Quickly, Credor focused on ultra-thin quartz movements rather than accuracy, the average accuracy of quartz being enough for everyday life. And ultra-thin suits a dress watch perfectly ! In the 1990s, with the revival of mechanical watchmaking, Credor started producing a few mechanical watches but the only movement that still in use for a high-end watch was the ultra-thin caliber 68 (which we’ll talk about more, soon). Then when Seiko released the Spring Drive, they started using this new technology too. You might wonder, «why no Kinetic or Astron movements in the Credor line?». Well, Credor are thin dress watches and and these movements are too thick for a Credor’s vision of a thin, dress watch. Now that we’ve outlined the portrait of what Credor is, let’s explore the history of the brand through the milestones of Credor’s forty-five years. Launched in 1969, this was the most expensive watch in Seiko’s catalogue after the Astron. The caliber 68 fitted inside the 18k gold case is an ultra-thin mechanical movement only 0,98mm thick. And at the time, such a movement was considered a technological and horological wonder, ticking the «latest technology» box. 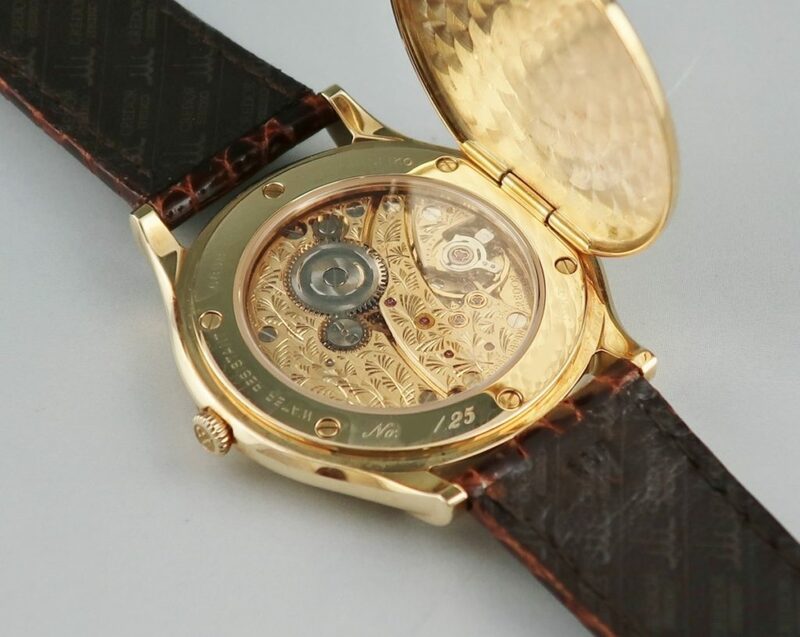 The case was made of 18k gold and was most probably hand decorated, just like the dial. «Precious metal» check, «craftsmen know-how» check. And what does UTD stand for? Ultra Thin Dress. Check, check and check. 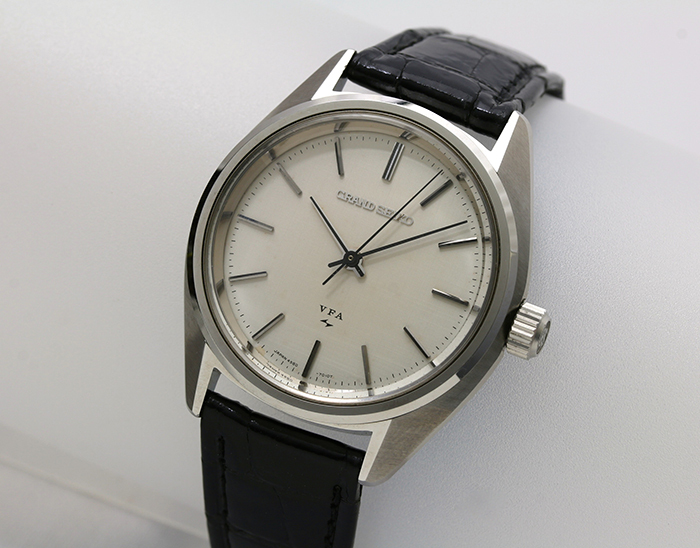 Now you might find yourself wondering why Grand Seiko never used this amazing cal.68. Being so thin, the movement couldn’t possibly be adjusted to the extremely strict Grand Seiko standard. It was just never designed to be a Grand Seiko movement. 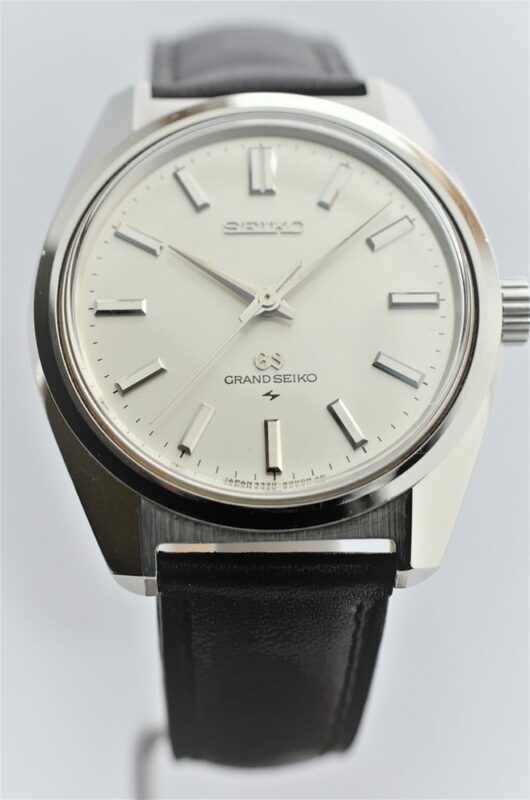 Which actually highlights another specificity of Grand Seiko. To make a robust movement, you have to make it a little thick. The thinner, the weaker. Which explains why Grand Seiko has always favored thicker but more reliable movements. Still, as we’ve seen after releasing the 61VFA movement, Suwa Seikosha managed to produce a thinner and still very reliable movement for the 56GS series. So who knows, maybe we will see a new thinner Grand Seiko movement sometime in the future. 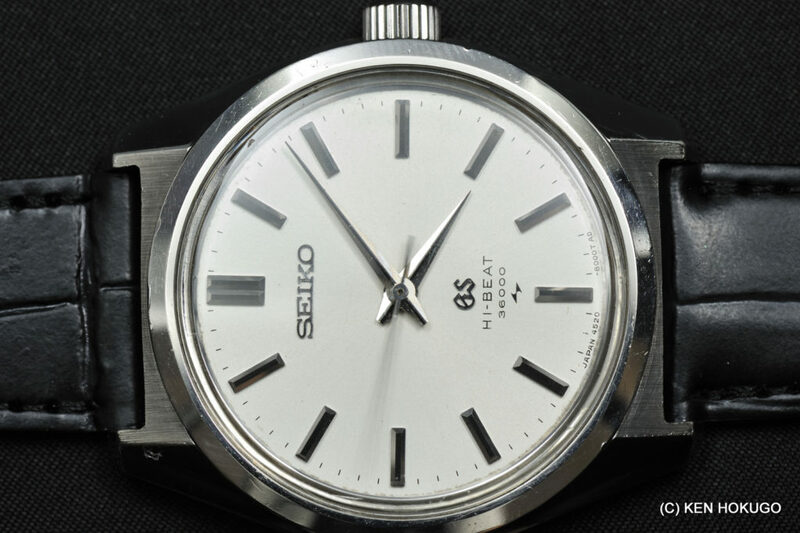 Just as Grand Seiko favored reliability despite thickness, Credor always favored thinness to chronometry prowess. Which explains why Grand Seiko watches are offered with a much more strict chronometry standard compared to Credor watches. 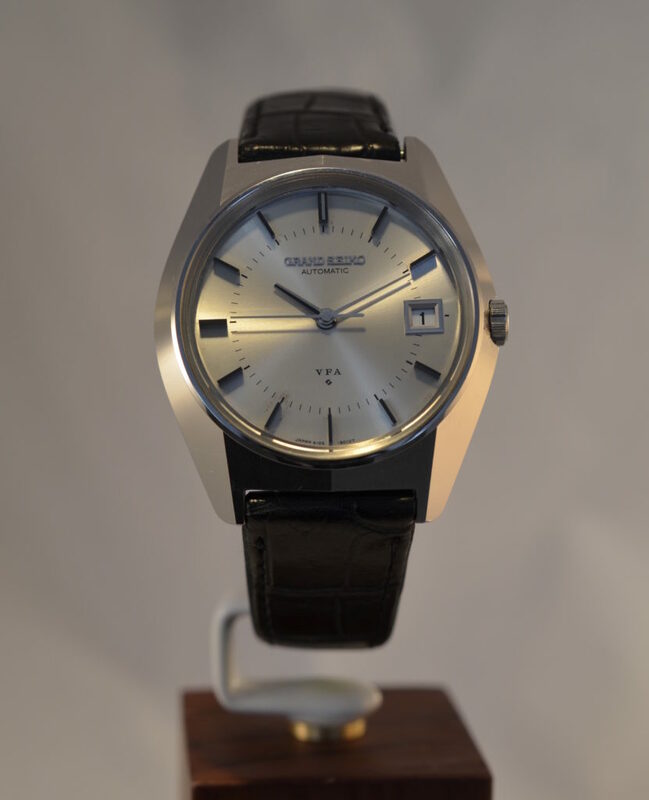 As we already said, the Credor line began in 1974 with several references, all with quartz movements and Seiko logo, then in 1978, the Credor name appeared on the dials alongside a smaller Seiko mention. 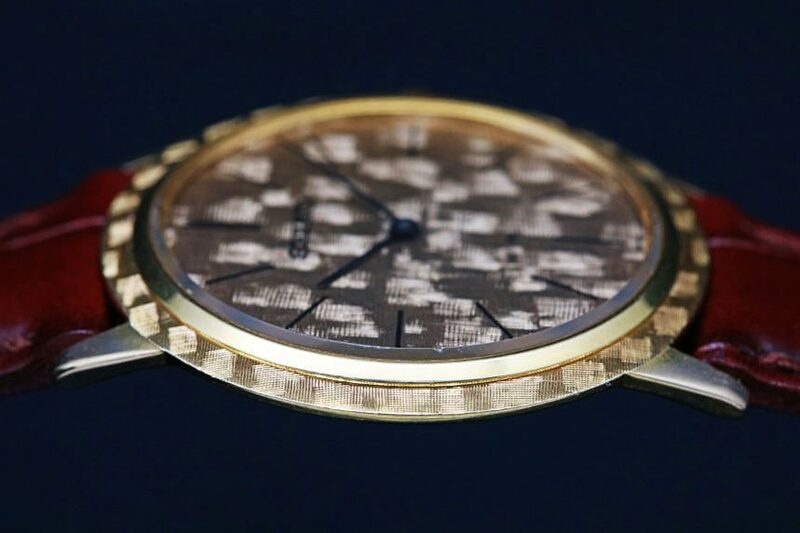 In 1980, Daini Seikosha released the cal.6720, the thinnest movement in the world: only 0,89mm thick. This movement actually found its way into the Seiko Lasalle brand, but that’s another story. The same year, Credor released some ultra-thin watches equipped with the 6730 movement, a slightly thicker movement (1,1mm). 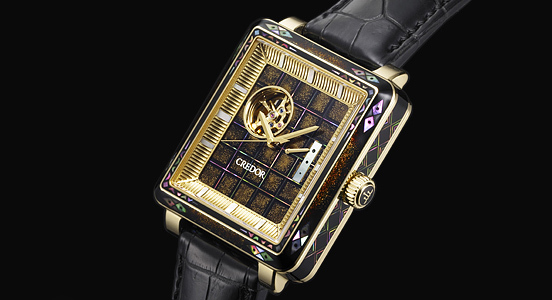 In 1982, Credor released what is probably the craziest watch ever made by Seiko, the «Jewellery Watch». 507 diamonds, including a 6,3 carats stone to serve as crystal (probably to make sure you can’t scratch it !). It was a unique piece and it sold for ¥ 220,000,000, which would today be (including inflation) a little bit more than $ 2,500,000. 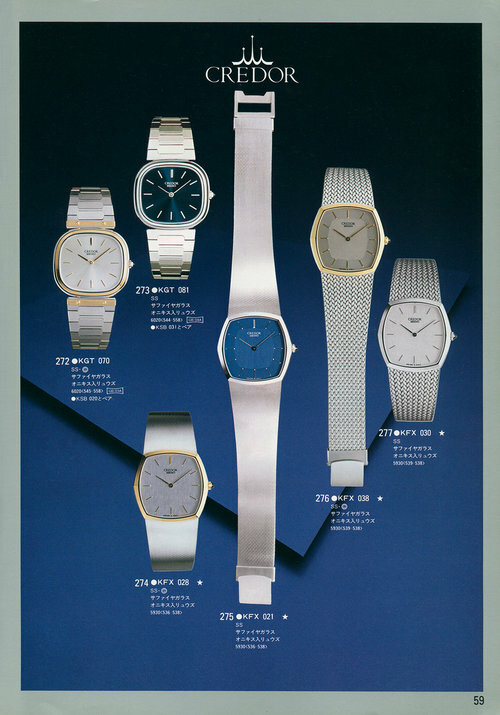 Then the 1980s continued with many regular quartz watches and collections until 1993. The year 1993 saw the re-launch of the ultra-thin 68 caliber in a more modern form, the 6870. This was also the year Credor launched the Pacifique line, a line of mechanical watches inspired by sailboats and navigation. The whole Pacifique line is a departure from what Credor use to stand for but it shows how Credor tried to revive high-end mechanical watches in the early 1990s. 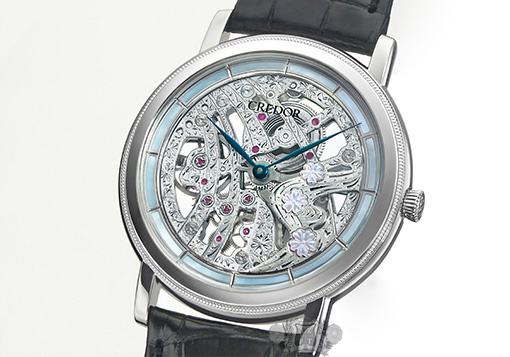 In 1996, Credor released the skeletonized and hand-engraved version of its cal.68, the 6899, a watch still in production today. This watch also show Credor the beginning of a new difference with Grand Seiko: highly decorated movements. Then came 1998, a banner year for Seiko because they released two watches that are the perfect symbol of the difference between Credor and Grand Seiko. Seiko launched the Credor Chronometer, a gold watch with a «Chronometer» certified movement that came with its COSC papers. They also released the first modern mechanical Grand Seiko, the SBGR001 (and 002, but let’s forget about this one for now). Now when we put those two watches side by side, what do we see? 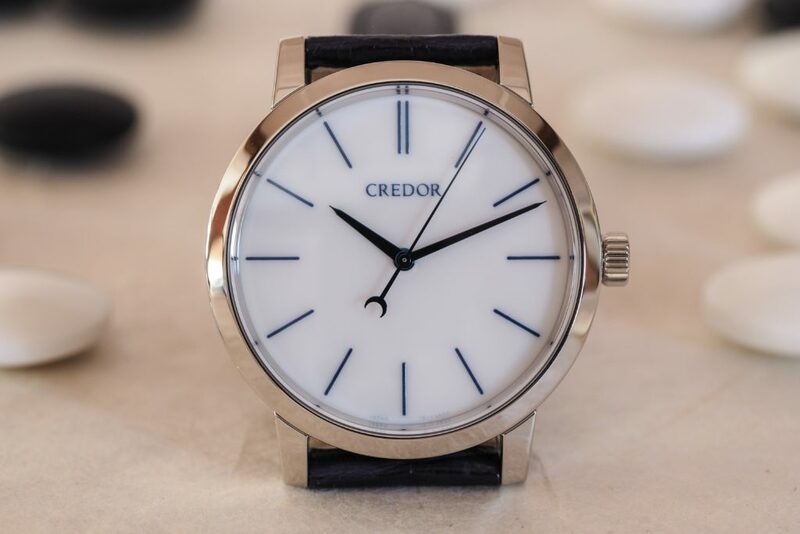 We see that the Credor has a classic, dressy look with a fully polished, round solid gold case entirely polished. The dial is textured and decorated, with a small second at six, a power-reserve indicator around 9:30 and the word «Chronometer» on the right side of the dial between 2 and 4. We also notice that it is a manual movement with a see-through caseback. On the other hand, the Grand Seiko is made of stainless steel with a design inspired by the first Grand Seiko with its famous chamfered lugs, now fully integrated in the body of the watch. The brushed and polished parts show a beautiful contrast. The hands are large and in the traditional Grand Seiko style, the dial is clear and simple, the watch has the date, and the movement is automatic and hidden behind a beautiful engraved caseback with the famous lion. Everything on this watch screams Grand Seiko. We have a luxurious, classy dress watch versus a perfect practical everyday watch. 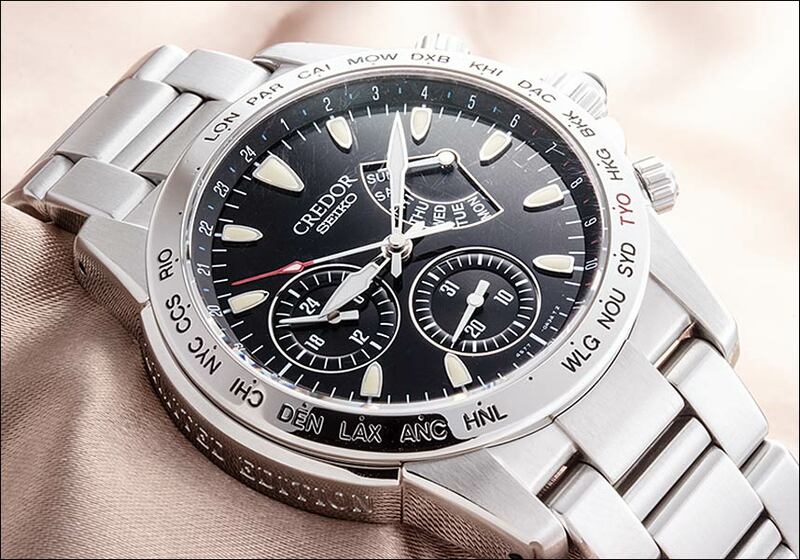 And so… here comes the crucial question: is Credor a higher-end brand than Grand Seiko? Well, in our opinion, it’s not a question of which brand is higher-end, it’s a matter of values and philosophy. The Credor Chronometer uses gold but a more simple case design and no Zaratsu polishing (in this specific case). The Credor is more decorated, but the Grand Seiko is cleaner and easier to read. 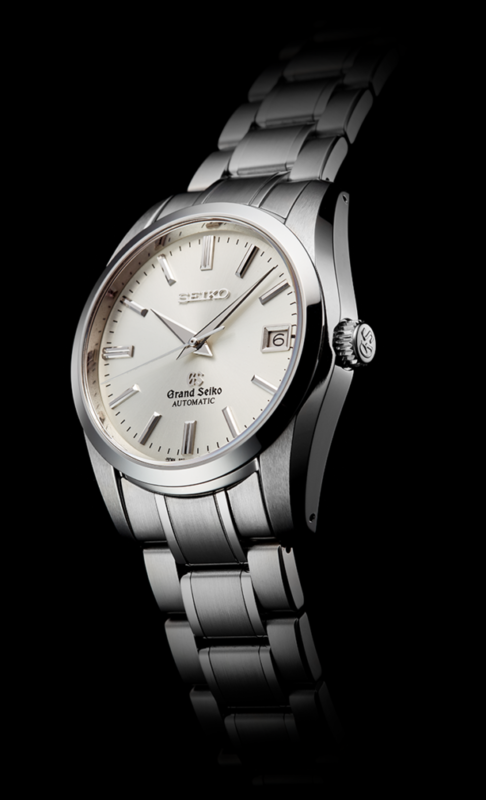 The Credor is COSC certified, but the Grand Seiko Standard is higher. 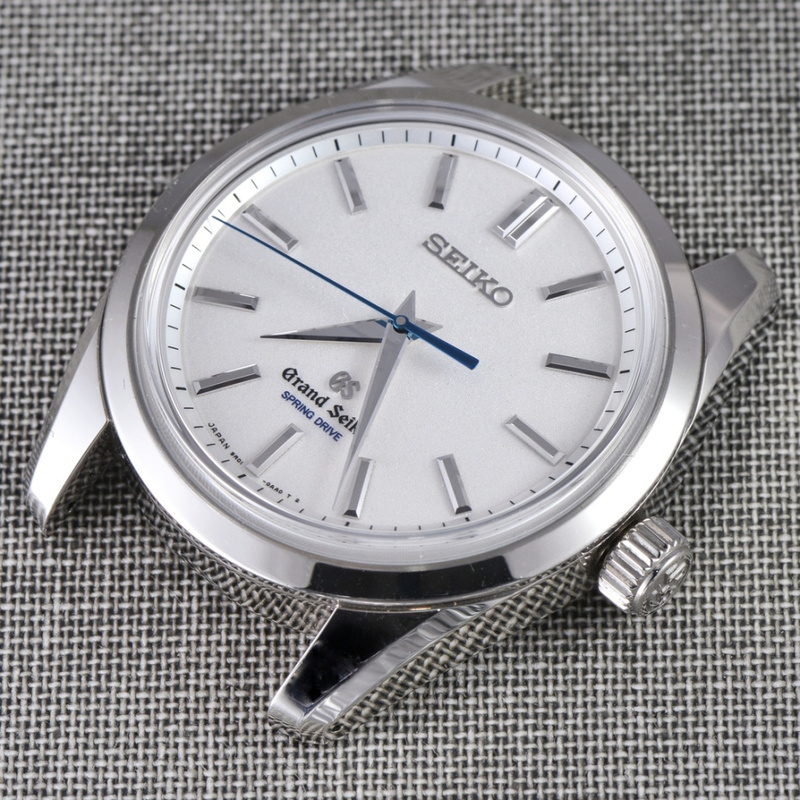 The Credor is manually wound for thinness, but the Grand Seiko is automatic for practicality. 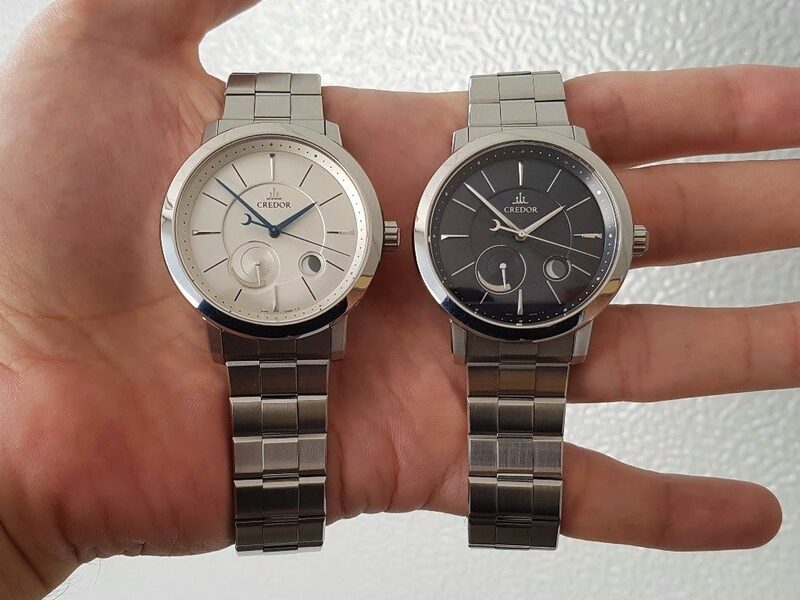 We could go on and on like that about the differences of these two watches. Released at a similar time, they perfectly highlight the specificities of each brand. And we don’t consider one as being «higher-end» than the other. They are both the very best of what Seiko can produce, but one aims to be the ultimate dress watch while the other one strives to be the ultimate practical watch. Now let’s return to Credor’s milestones. 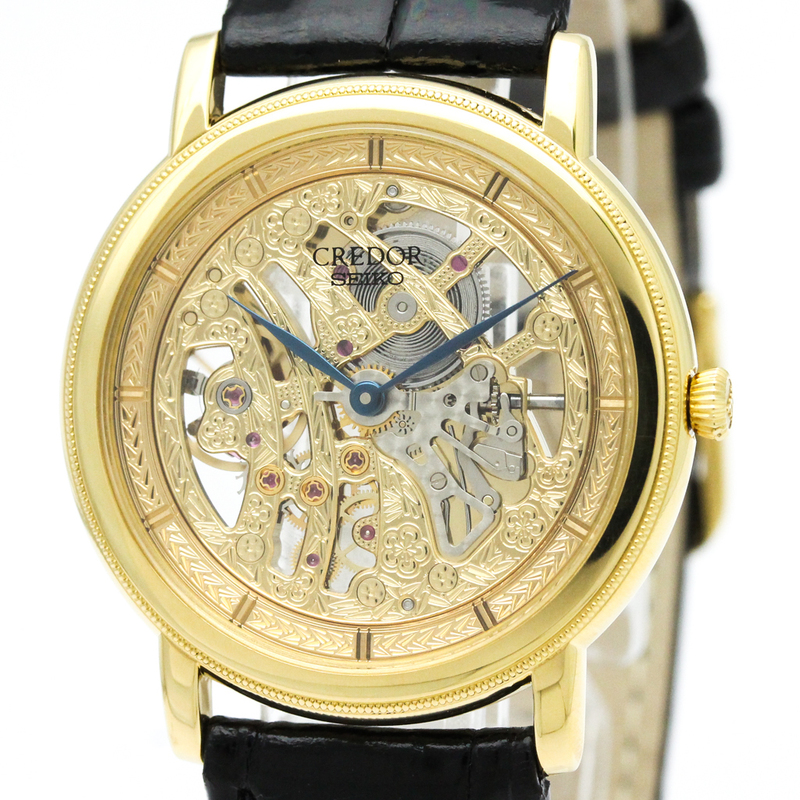 In 1999, Seiko released the incomparable Spring Drive movement. They launched two Seiko models (SBWA001 and SBGW002 in stainless steel and yellow gold) and a Credor model in platinum. 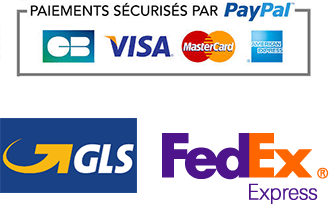 «But why no GS?» you might ask. I can only guess but I’d say that because the Spring Drive was only a manual movement at the time, it didn’t check the «practicality» box for Grand Seiko. 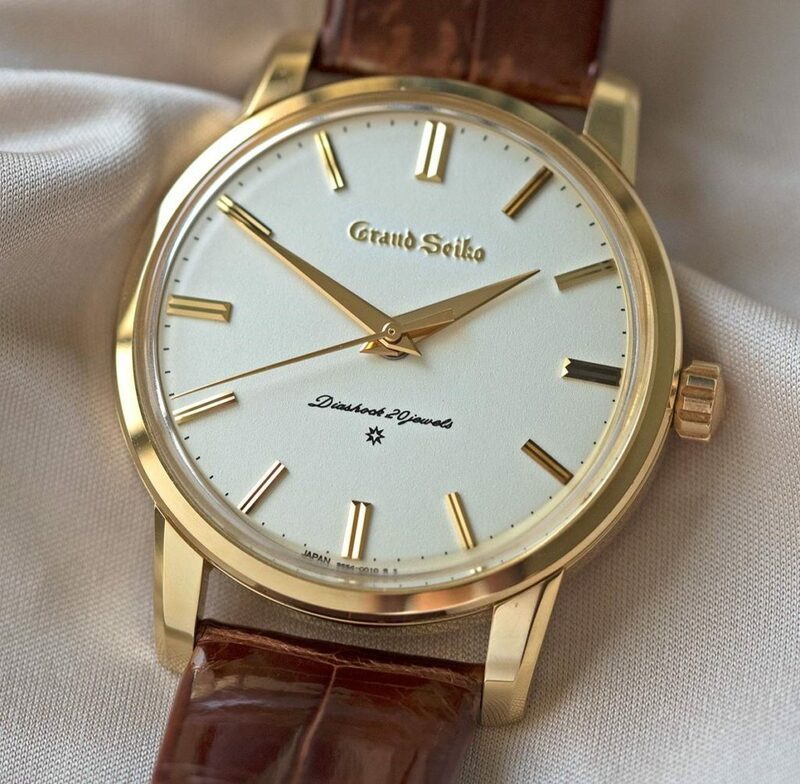 To which you might reply that Grand Seiko released some hand-wound watches after that. Yes, but if you look closely at those hand-wound GSs, they always pay tribute to original hand-wound GSs from the early 1960s, such as the SBGW004, SBGW033 or SBGW001 – just to name a few – that are inspired by the First, the SBGW047 that pays tribute to the original 44GS, or even the SBGD001/201/202 that are undoubtedly inspired by the 57GS. 1999 was also the year Credor launched its other sporty stainless steel line of watches, Phoenix. 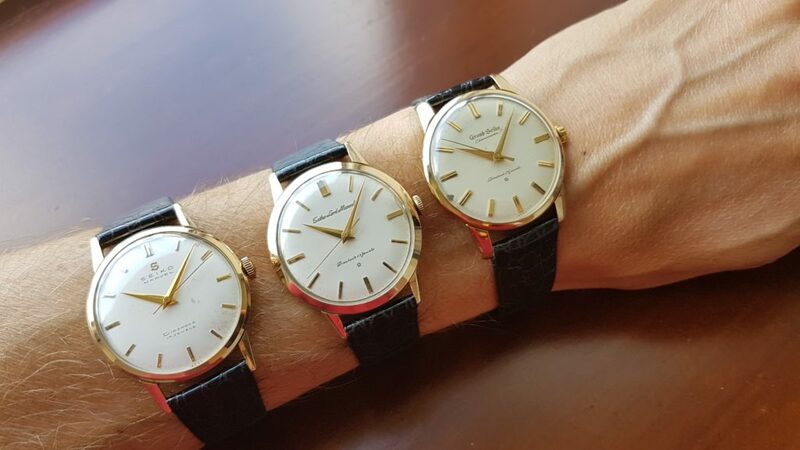 Just like the Pacifique line, the Phoenix line is a more modern and youthful style of watches compared to the traditional dress watches we are used to seeing from Credor, Being part of a high-end brand, Credor Phoenix watches use high-end mechanical movements (the same that were found in the Pacifique line). This line only existed for about two or three years. But interestingly, in the early 2000s the Phoenix rose from its ashes, but in the Seiko Brightz line, with almost the same movements, almost the same logo on the caseback and a youthful, modern sporty look. Our hypothesis is that Seiko decided to re-focus Credor on high-end dress watches, let Grand Seiko be the flag carrier of high-end mechanical watches, and reposition the Phoenix line one step under Grand Seiko, in a specific Seiko line: Seiko Brightz Phoenix. Whether this was intentional or not (it’s hard to believe it wasn’t. ), this decision made the differences among the different brands more distinct. Indeed, a mechanical sporty stainless steel watch line felt a bit strange in the Credor collection. In 1999, Credor released two important pieces. The first one was the GCBK999, a model to celebrate the 25th anniversary of Credor. Interestingly enough, this Pacifique chrono is actually very different from what Credor stood for in 1974. The Pacifique is a sporty, automatic chronograph in stainless steel. Despite this, the Pacifique line is the exception that proves the rule, as it stayed in Credor’s catalogue until the late 2000s. In 2000, Seiko launched the Micro Artist Studio. As interesting as this story is, we will have to write a separate article on this specific part of Seiko and Credor history. The same year, Credor released a very important watch, the GBBL993 with a skeletonized chronograph movement called caliber 6S99. 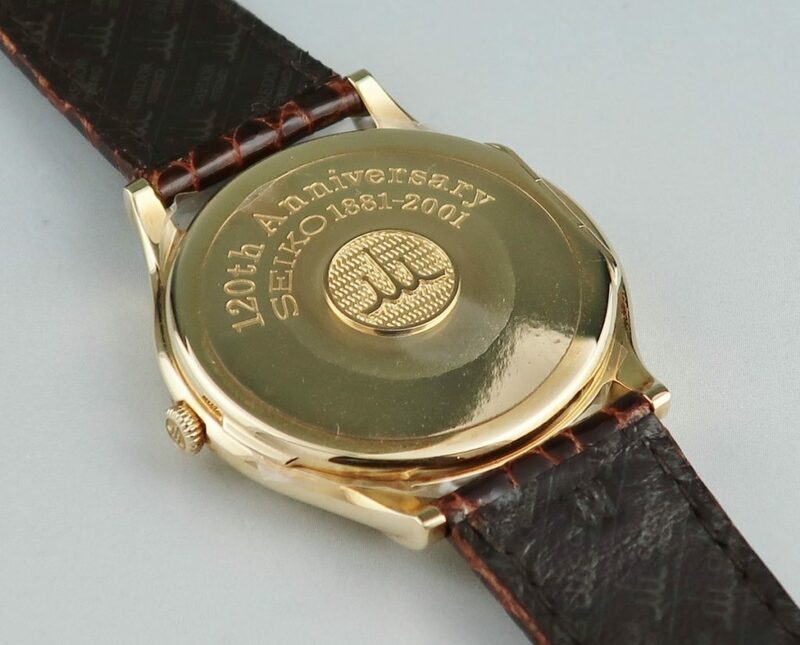 In 2001 Credor released a few special watches for the 120th anniversary of Seiko equipped with the famous «Ultra Thin Dress» caliber 68 from 1968. In 2004, Credor launched the Node line, a very interesting line that deserves a stand-alone article to decypher its design and the amazing watches that compose the most exciting line of Credor in our humble opinion, including the famous Credor Node Sonnerie released in 2006. 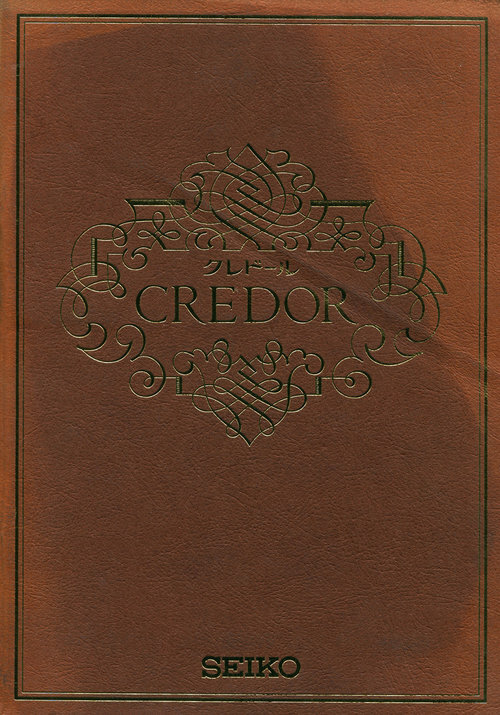 2008 was the year Credor released the first iteration of the Eichi. We won’t go too much into the details as we will right yet another article on the Credor Masterpieces. 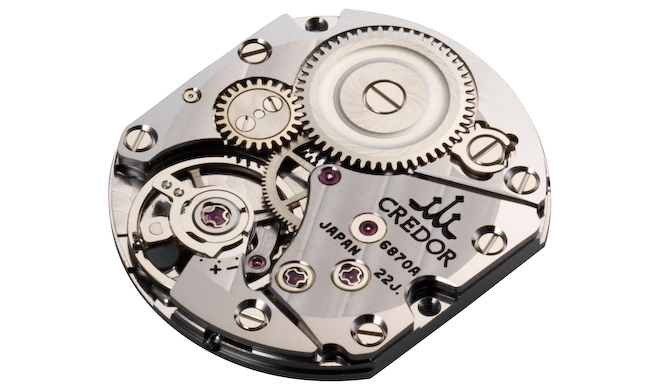 Also in 2008, Credor released another crazy piece, the Juri Tenga GBBX998 (Juri is the Japanification of jewellery) with a super hi-beat 8L88 movement that beats at 12bps — 43,200 bph. 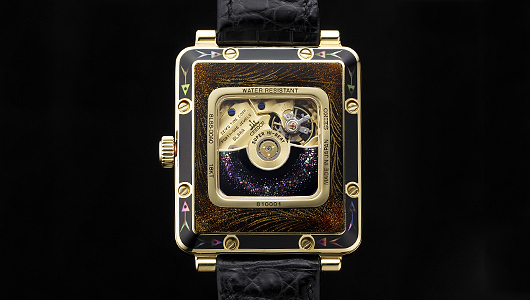 It’s made of 18k gold, urushi lacquer and incorporates detailed mother of pearl inlays. This crazy unique piece was a «lab prototype» of a hi-beat movement released just before the first modern Hi Beat Grand Seiko SBGH001. It sold for ¥ 50,000,000 (about $450,000 US). In 2011, Credor released another Masterpiece to celebrate the 130th anniversary of Seiko, the Credor Node Minute Repeater. Even though it’s part of the Masterpieces collection, it shares a lot of details with the Node Collection, just like it’s big sister the Sonnerie. In 2014, Credor released a 40th anniversary watch, the Signo Cherry Blossoms Skeleton GBBD965, but even more significantly, Credor released the famous Eichii 2 this year. 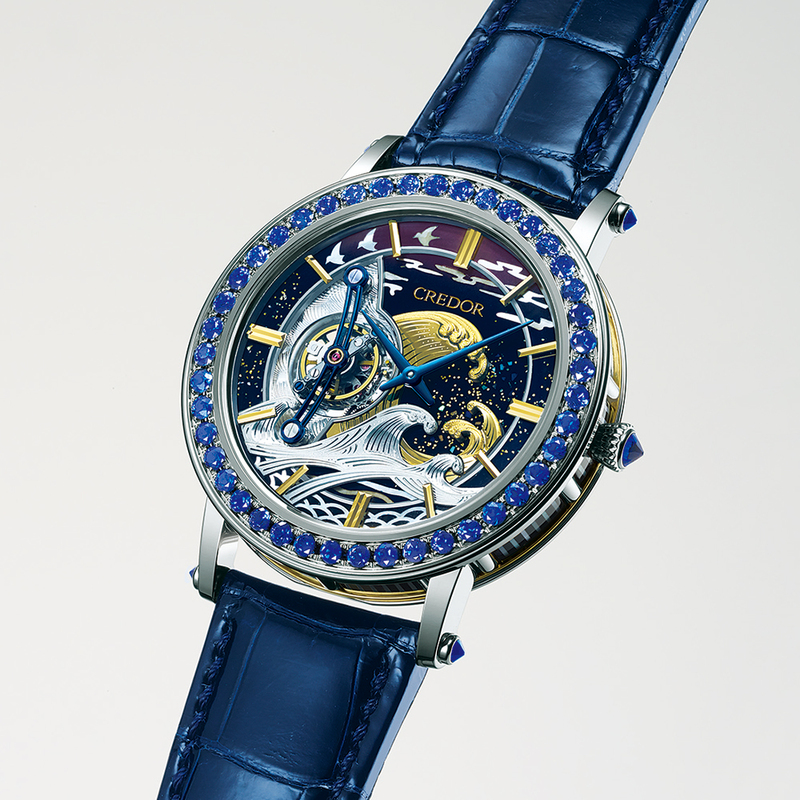 In 2016, Credor released Seiko’s first even tourbillon, the Fugaku Tourbillon, another crazy piece that mixes one of the most emblematic complication of high-end horology with unsurpassed craftsmanship of Japanese engraving techniques, several Japanese lacquer techniques and gem setting. 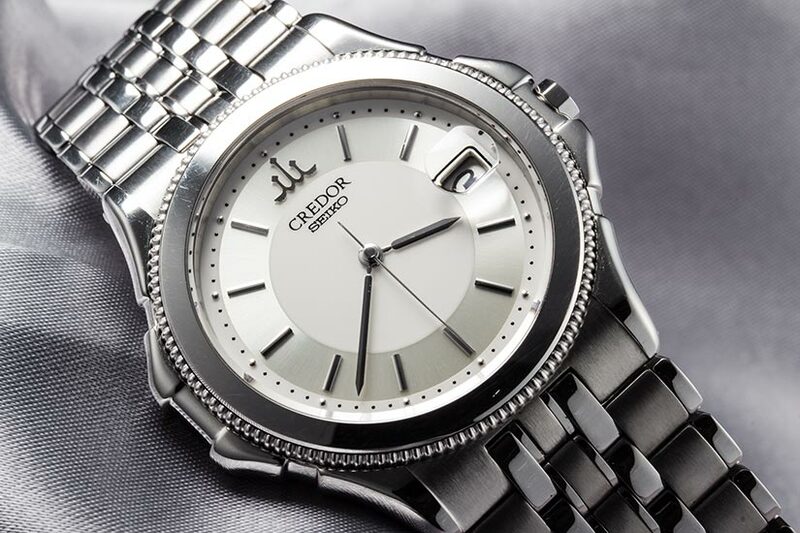 In 2018, Credor released a special watch to celebrate the 25th anniversary of the emblematic 6870 movement, the reference GBAQ958. The dial is decorated with a Phoenix made by using the maki-e lacquer technique, surrounded by mother of pearl inlays. It represents how the cal.68 was used in the past, disappeared in the early 70s, and rose from the ashes in 1993. 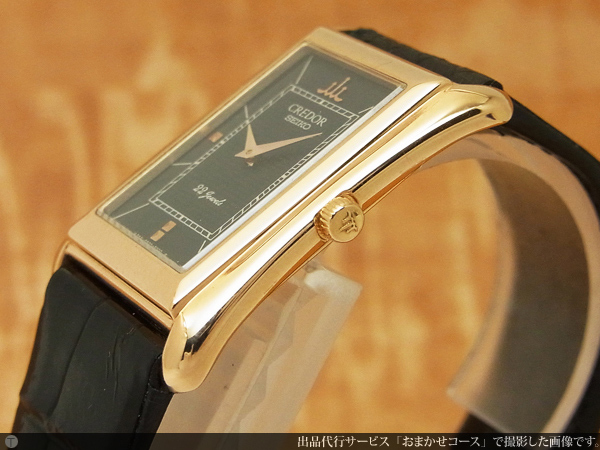 And finally, they also released this year the gorgeous Credor Eichi II in rose gold to celebrate the 10th anniversary of the Eichi. The idea of this article was to take the reader through a journey across almost 60 years of high-end watchmaking by Seiko, by discovering the similarities and differences of its two flagship brands, Grand Seiko and Credor. 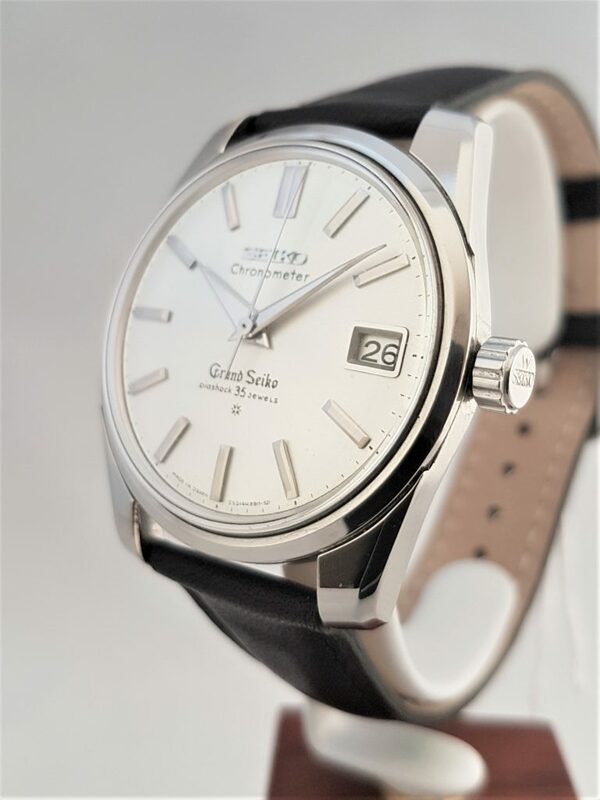 Because the history of Grand Seiko has become more well-known in the Seiko community, we tried to delve deeper and explain the core values of the brand and how those values translate into specific watch design and watchmaking philosophies, and ultimately, actual watches..
Because Credor is still a more obscure brand with little of its history documented online (except for Anthony Kable’s great article on the early years of Credor), we tried and did our best to make Credor’s philosophy clear. Almost no info is available online and we did our best to gather every little bits here and there. We also decided to go through some of the most important watches released by Credor along the years to give a few exemples of the brand’s milestones. 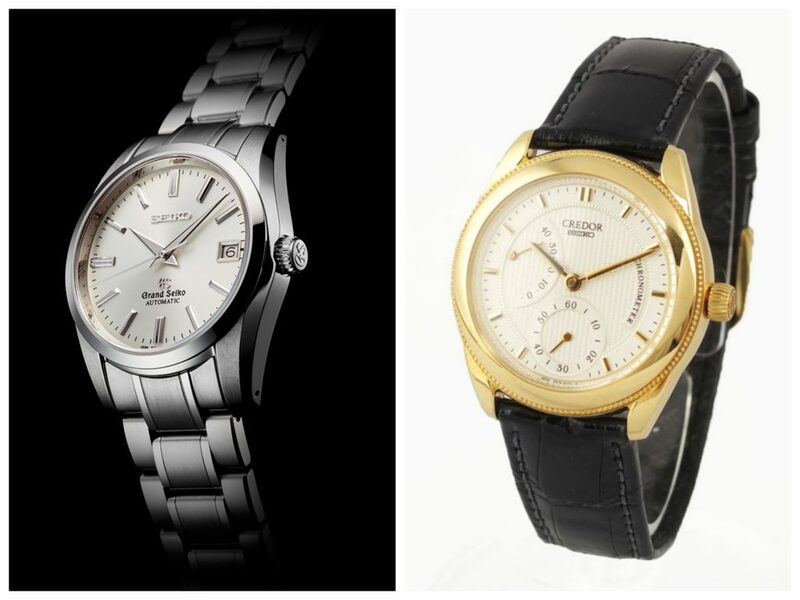 People often wonder how Grand Seiko and Credor compare against each other. This comparison is often misunderstood and a bit too simplistic. Even though those two brands focus on perfection, they each have hundreds of models and not all of them are born equal in term of quality (movement, complexity, finishing…) of price point. This is why we tried not to compare watches but core values and philosophies, in order to better understand how those two brands compare against each other. 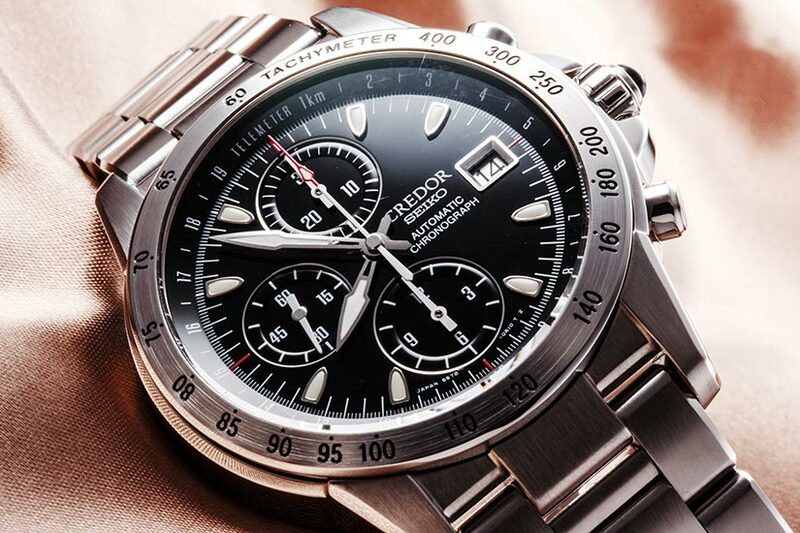 At the end of the day, we can see that Credor and Grand Seiko are two complementary brands that fully, but differently employ the know-how of Seiko in the field of high-end watches. 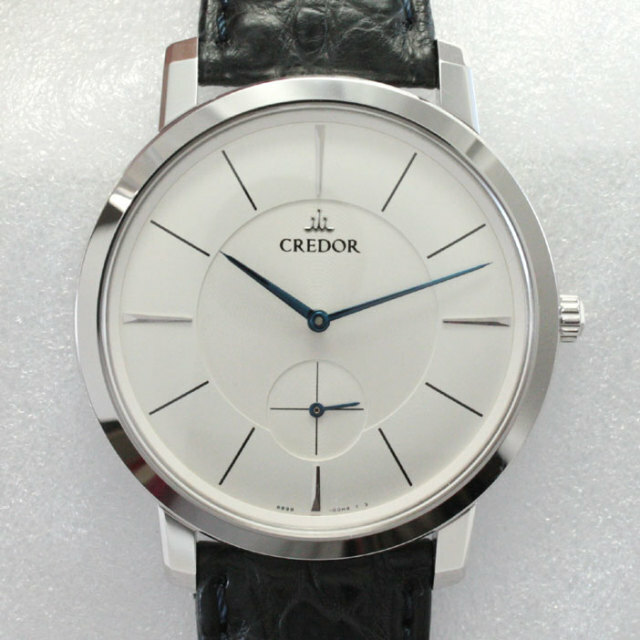 Credor is dedicated to making the very best dress watch in the world and Grand Seiko strives to make the very best practical everyday watch in the world. But these two brands are first and foremost dedicated to making absolutely perfect watches, each with their own codes and philosophies, which is why those two amazing brands can be considered as the two faces of the same coin. Special thanks to Anthony Kable for his info and article on early Credor and to Bill Adler for the corrections on by frenglish writing ! Link to Credor brand introduction and history by Anthony Kable, a must read !